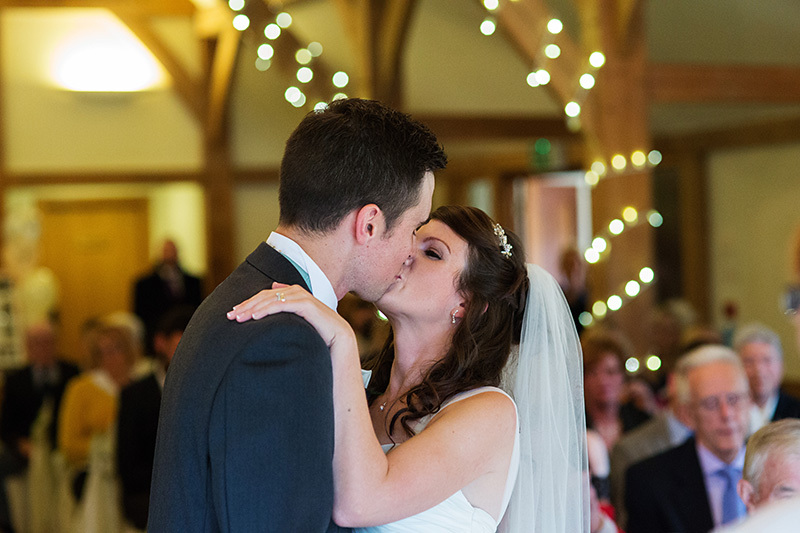 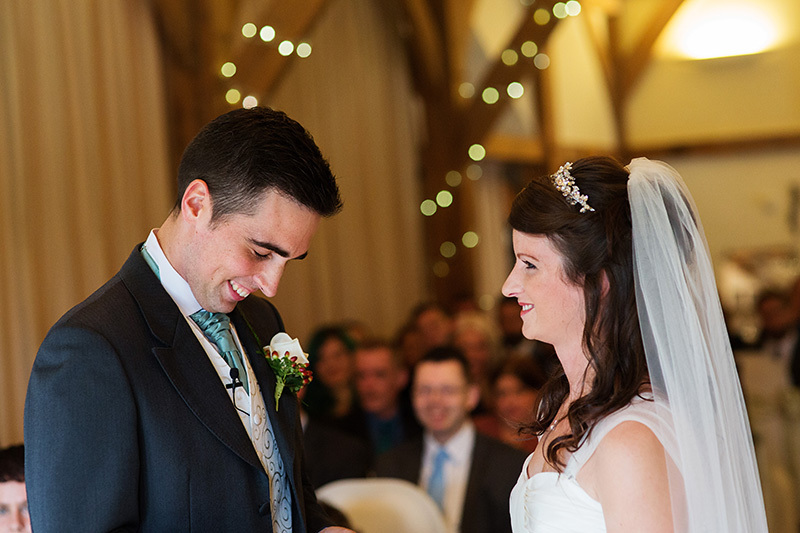 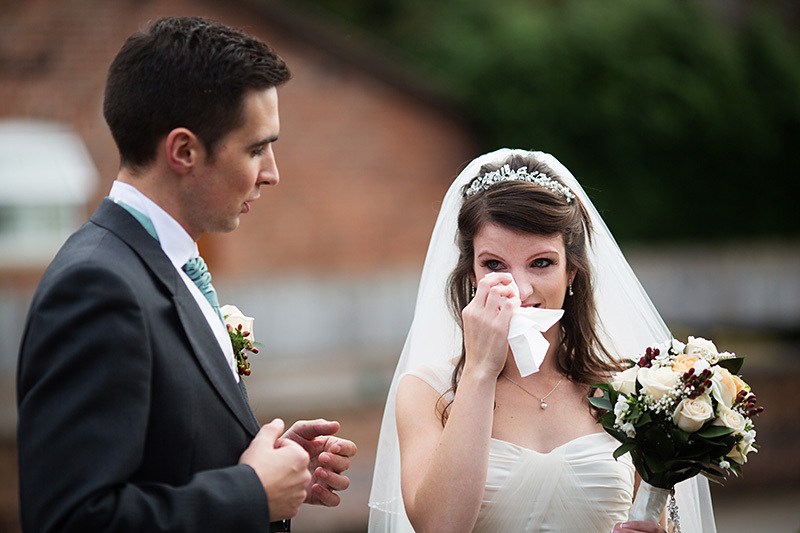 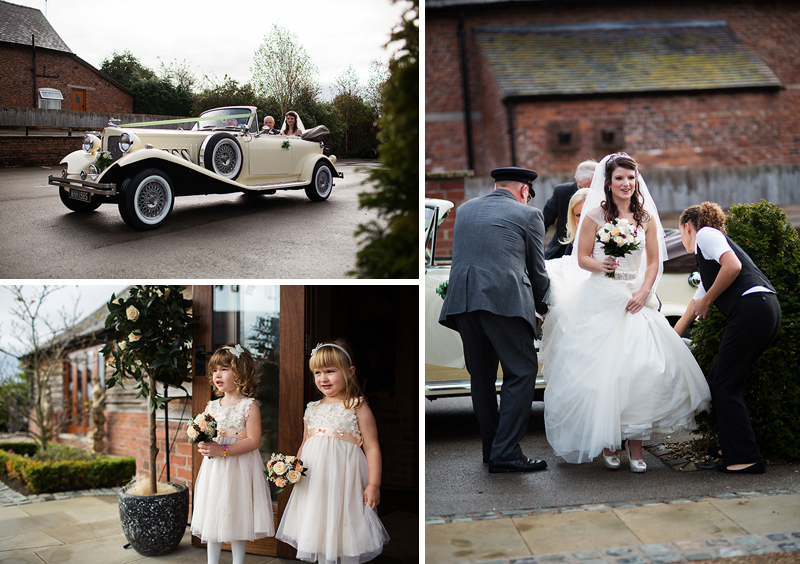 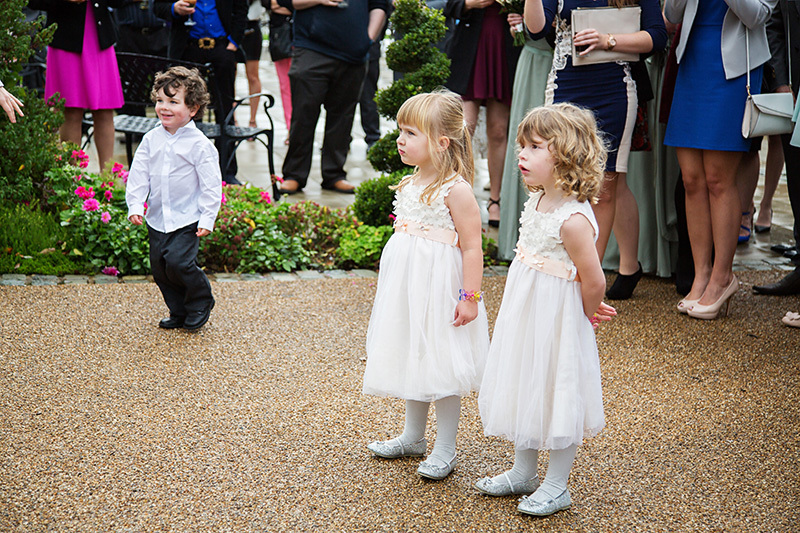 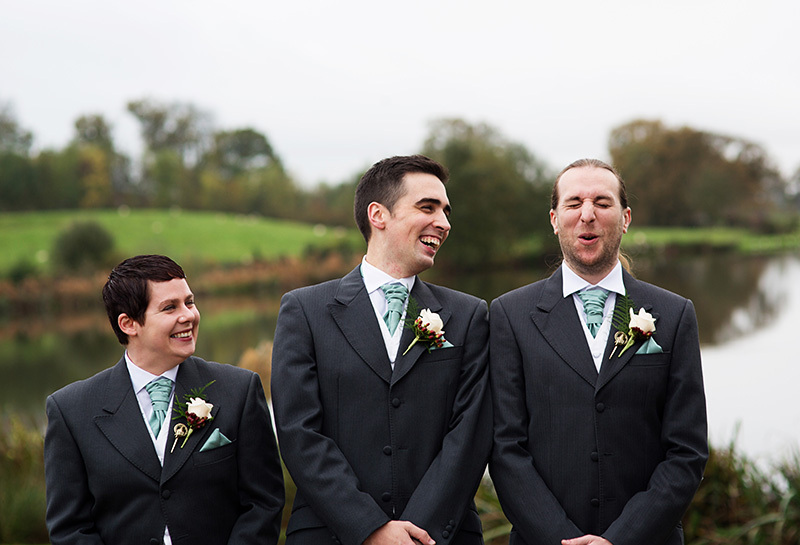 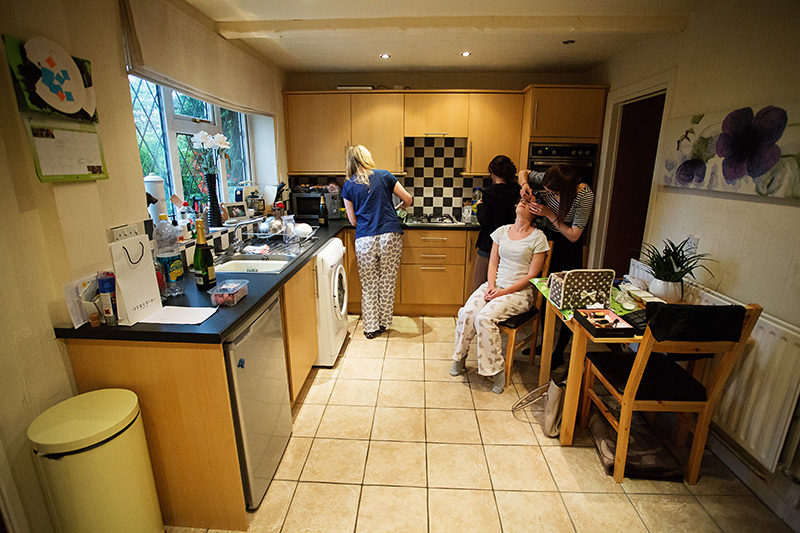 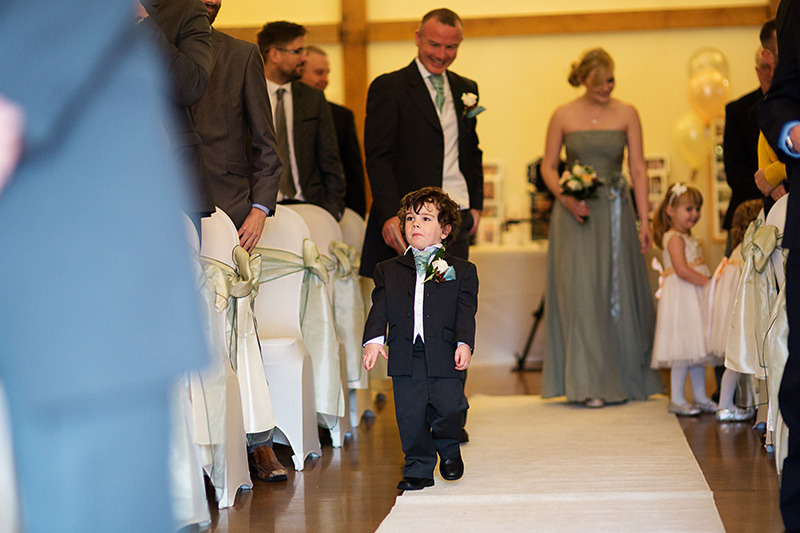 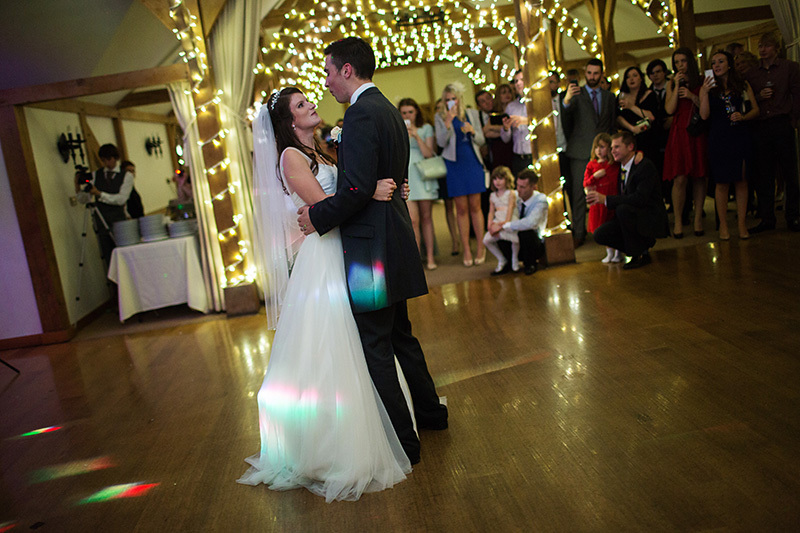 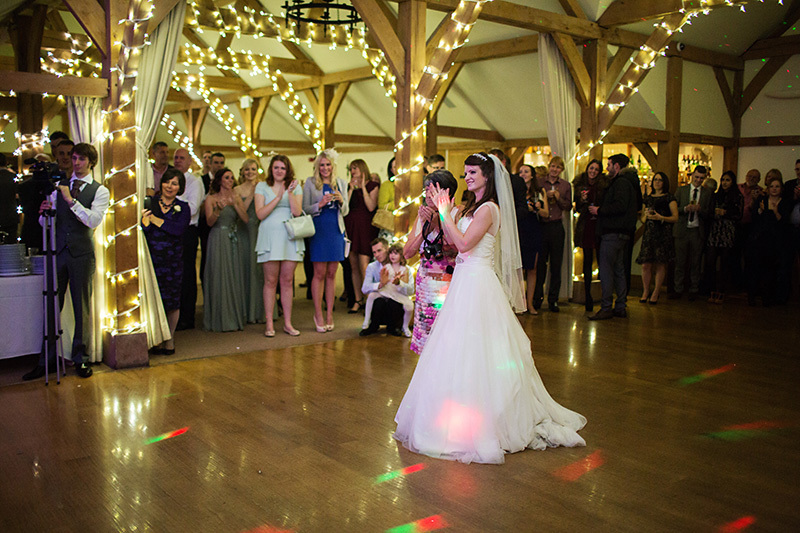 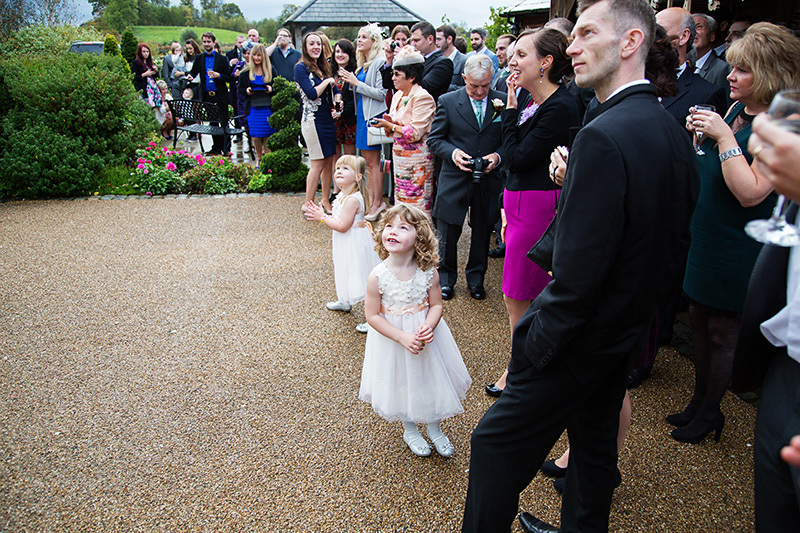 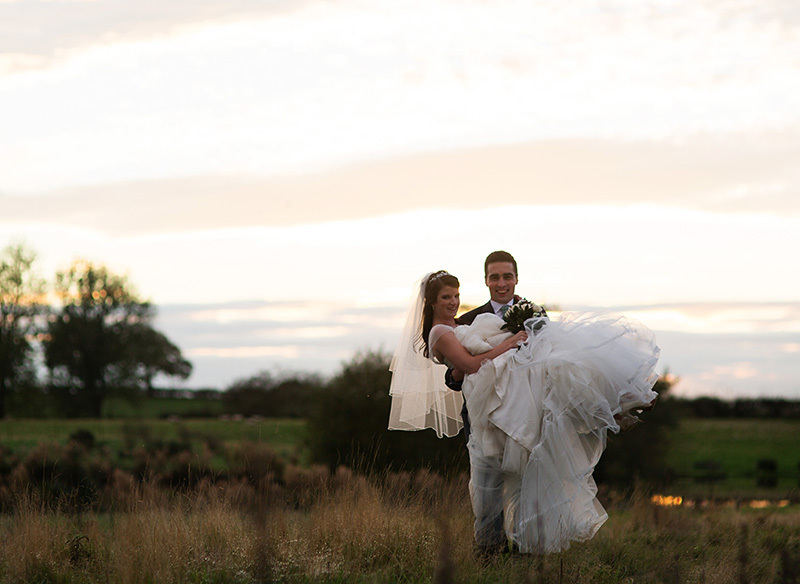 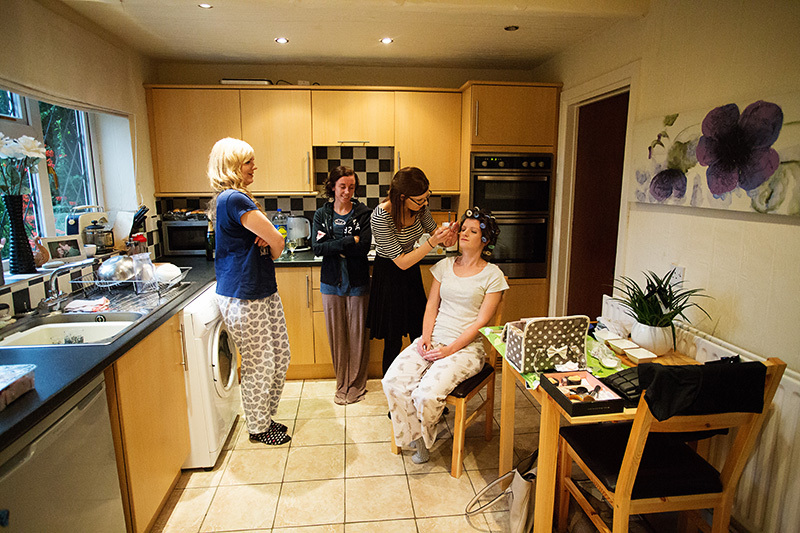 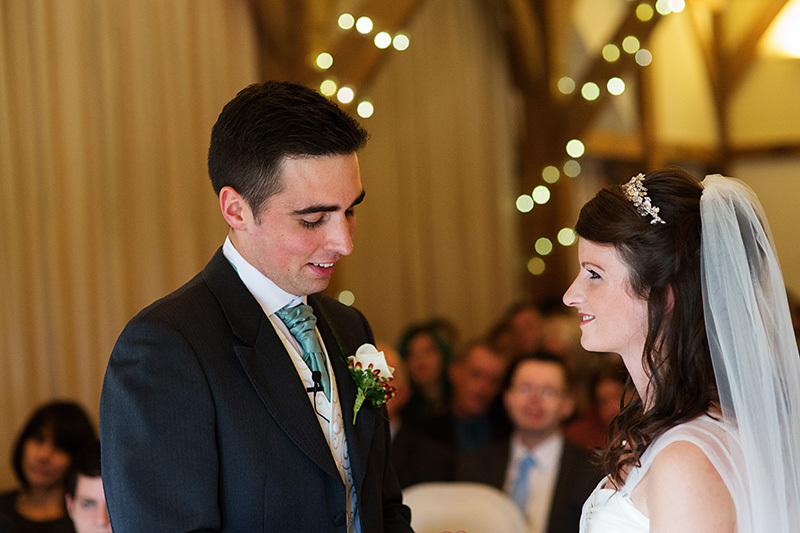 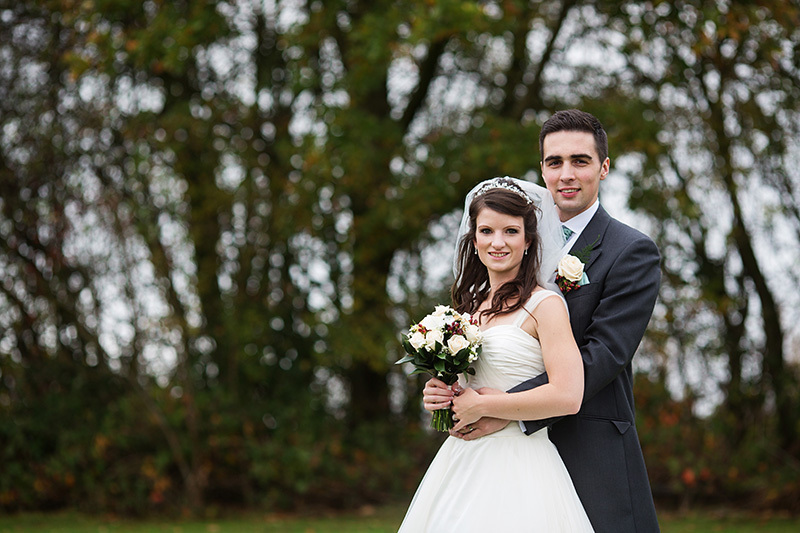 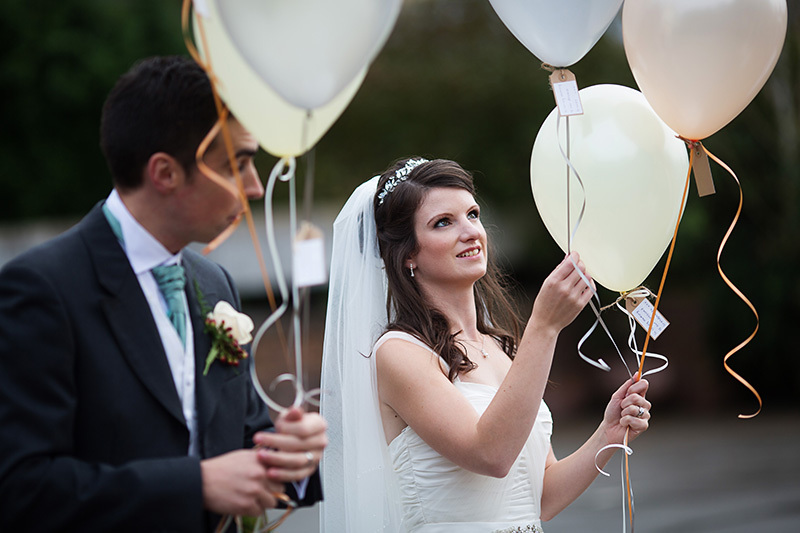 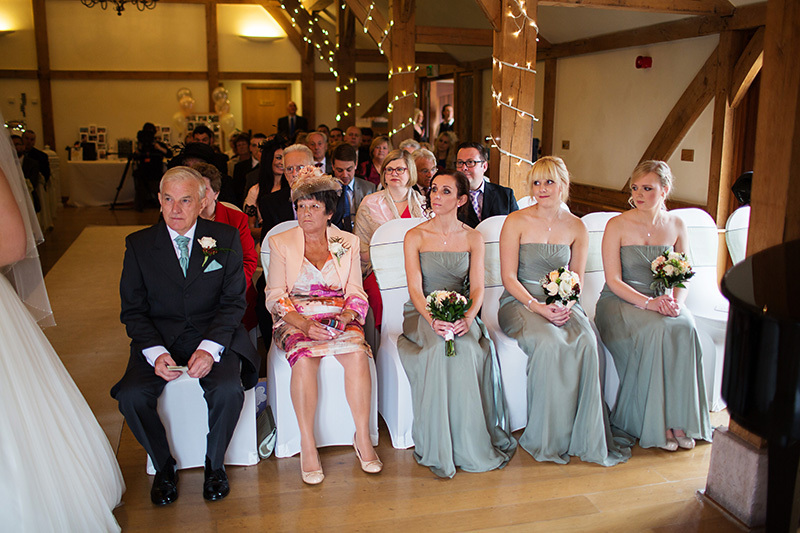 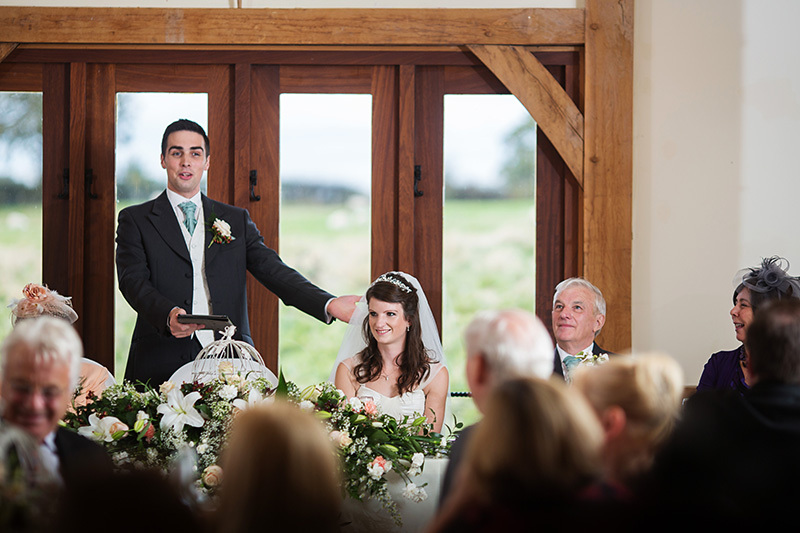 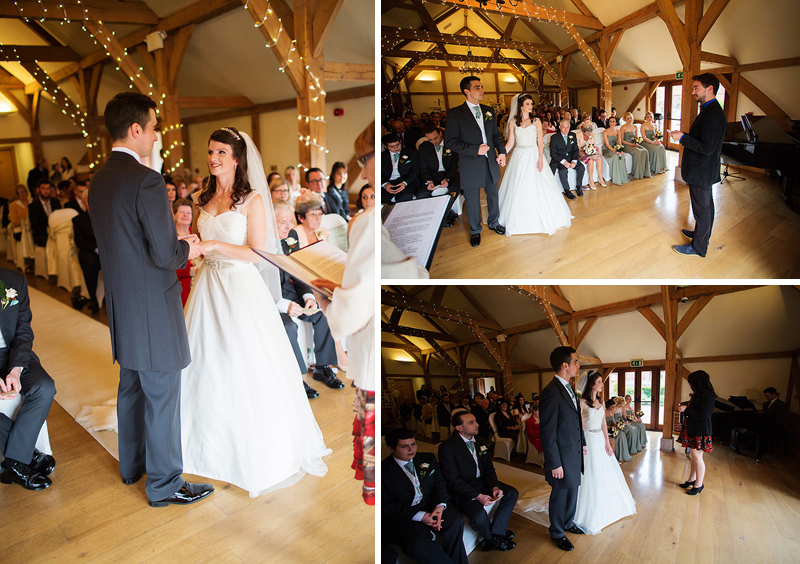 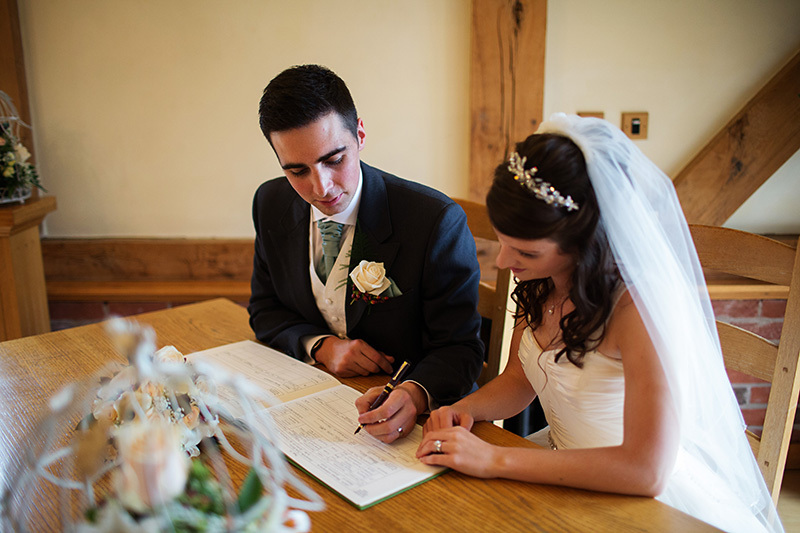 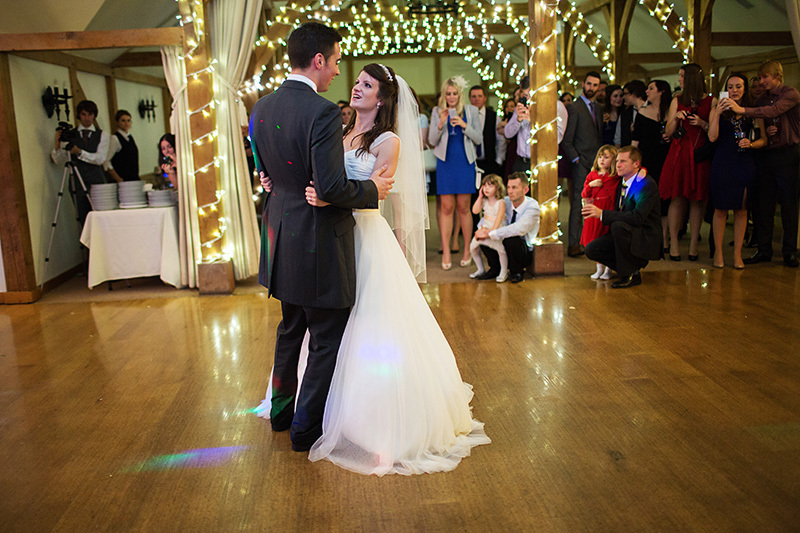 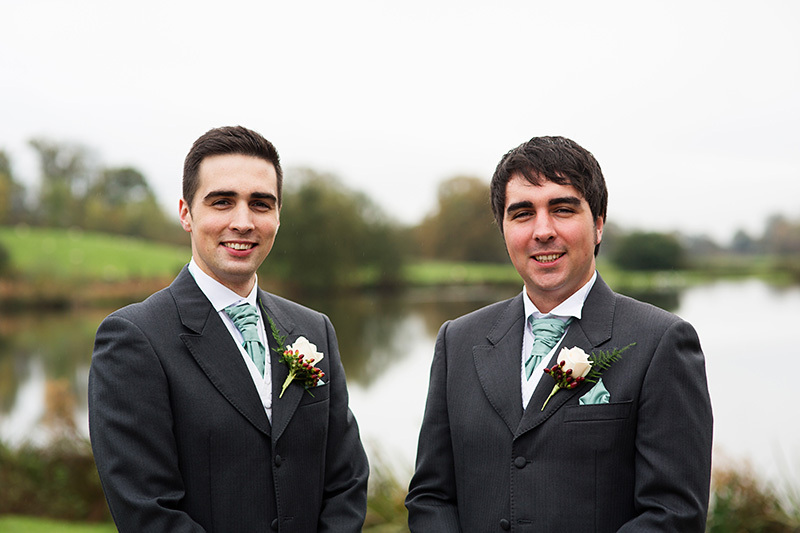 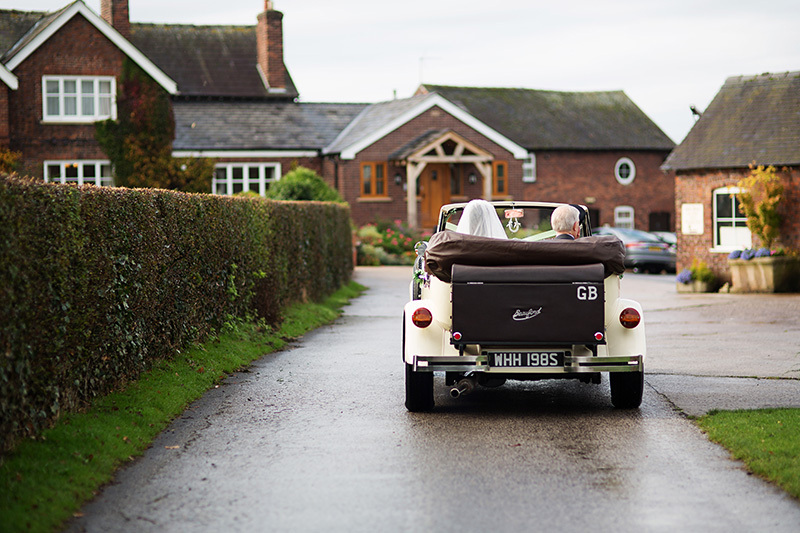 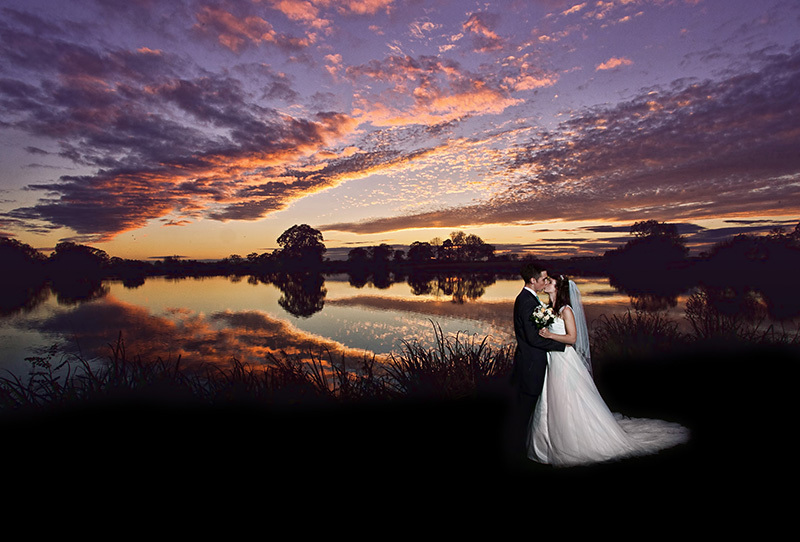 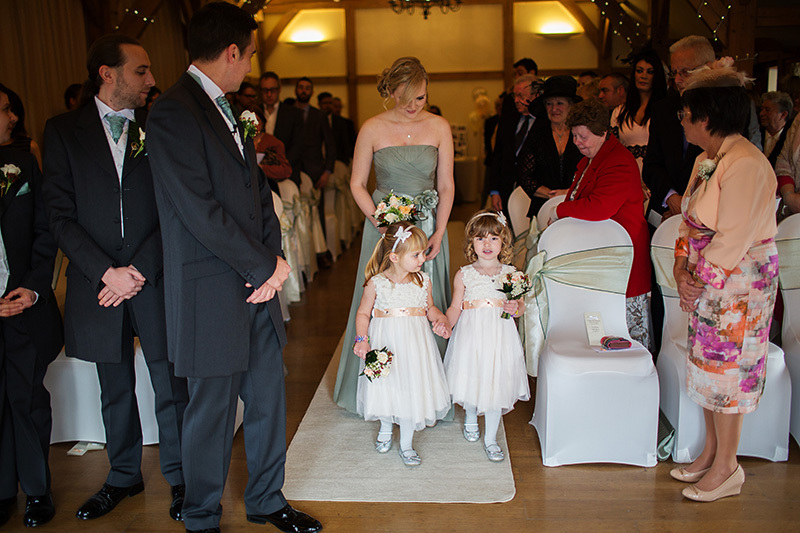 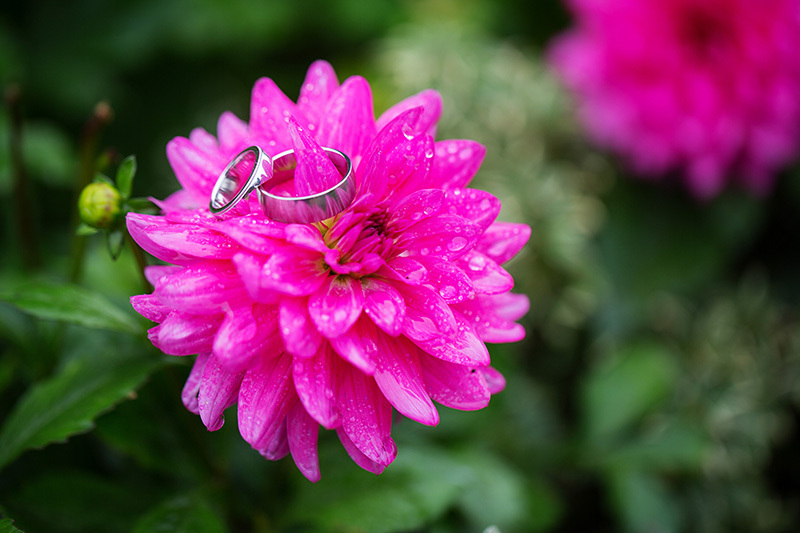 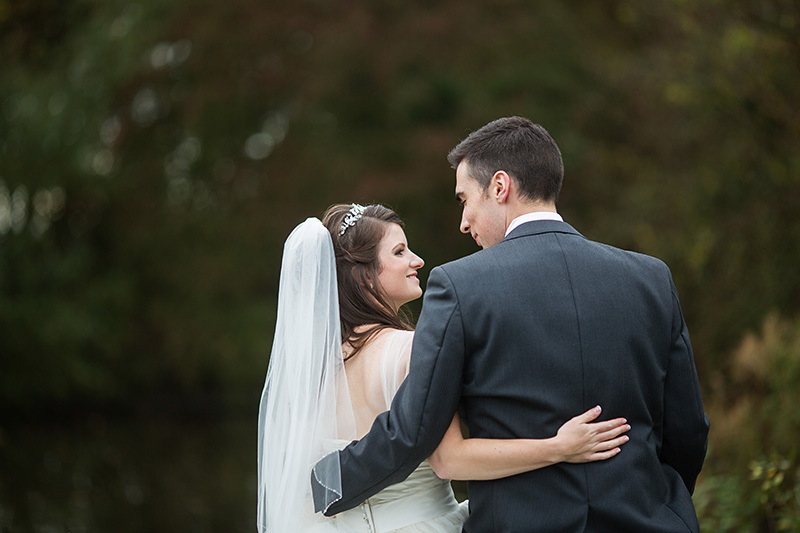 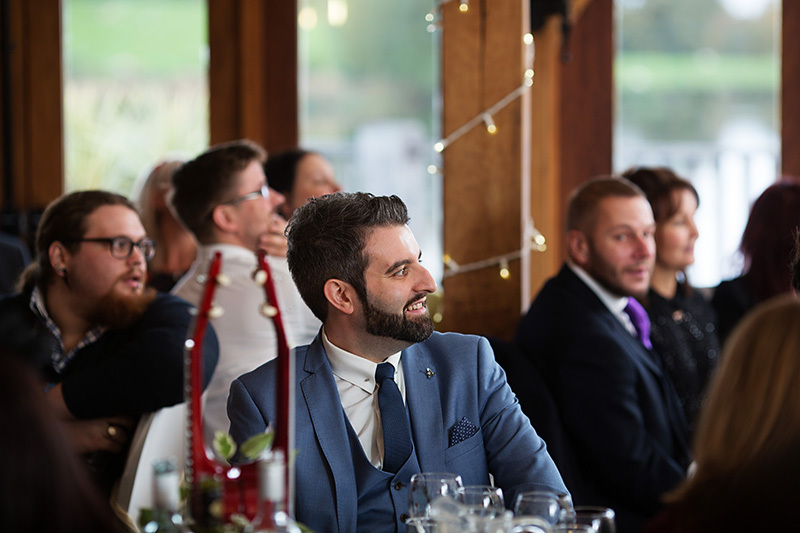 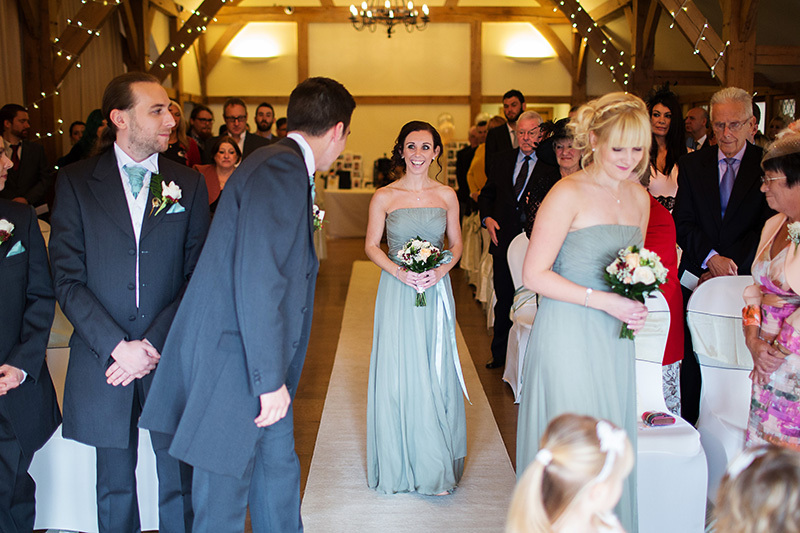 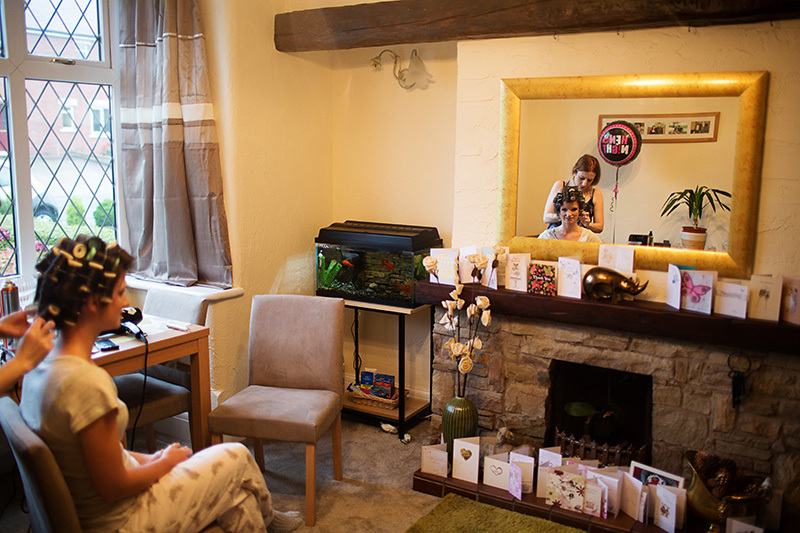 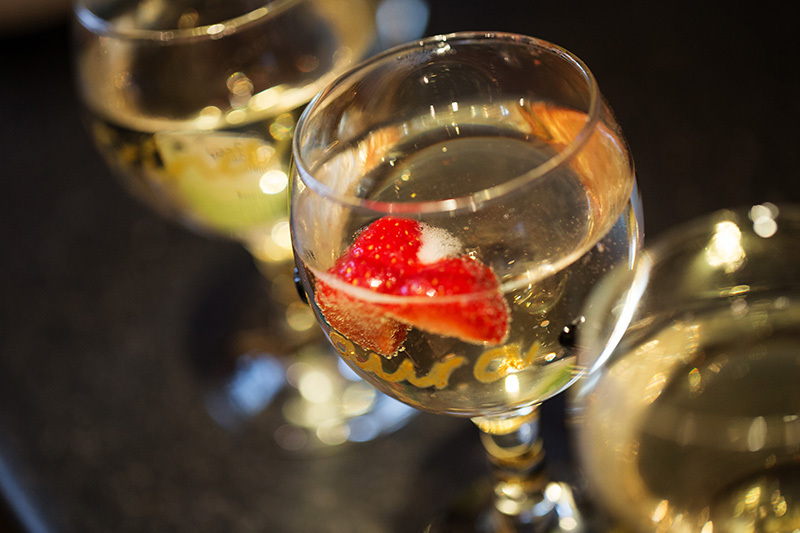 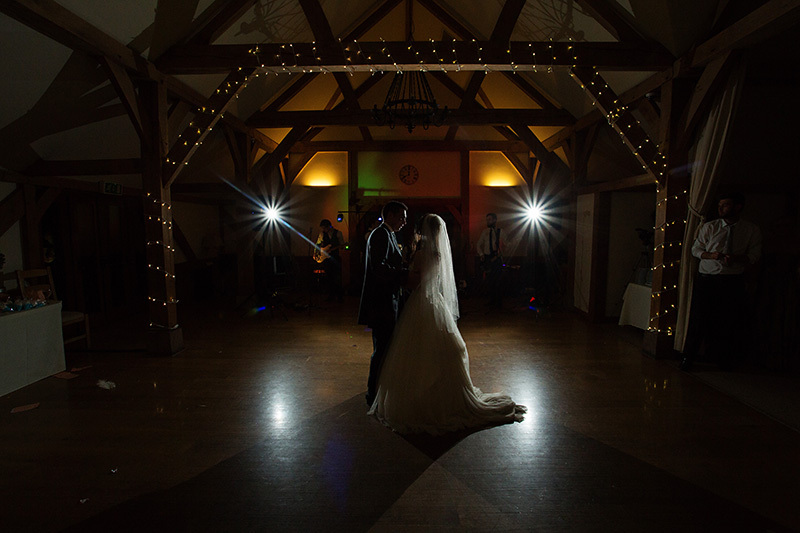 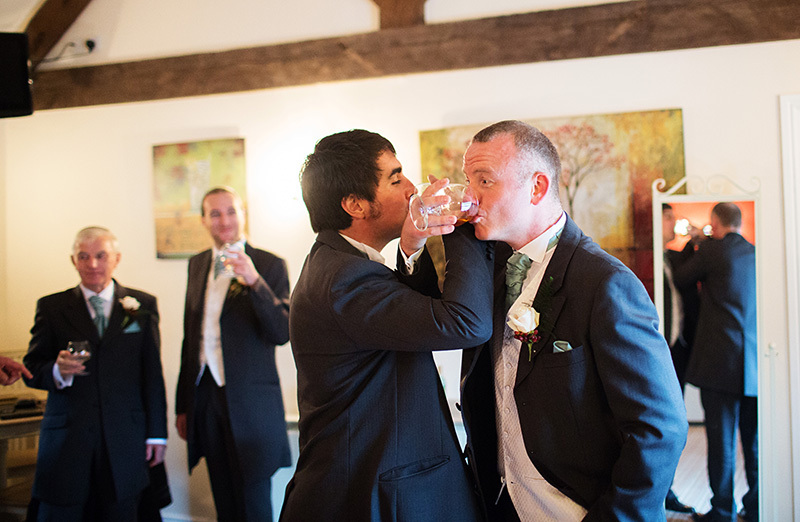 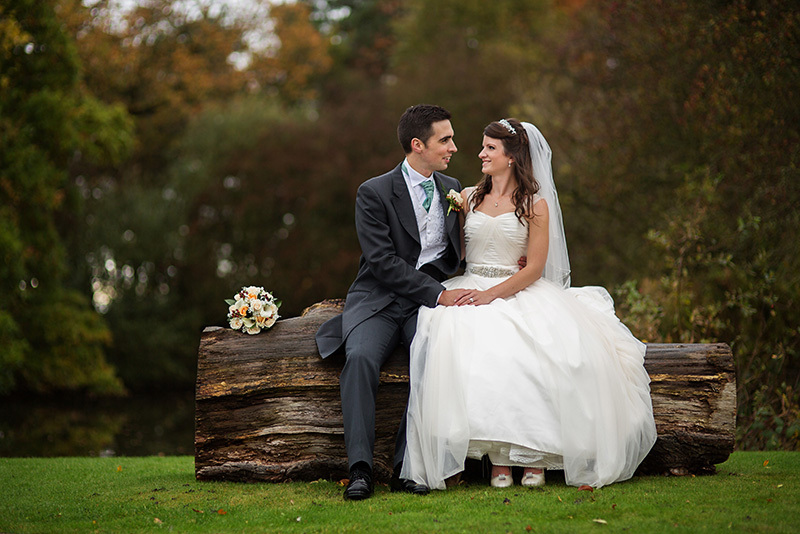 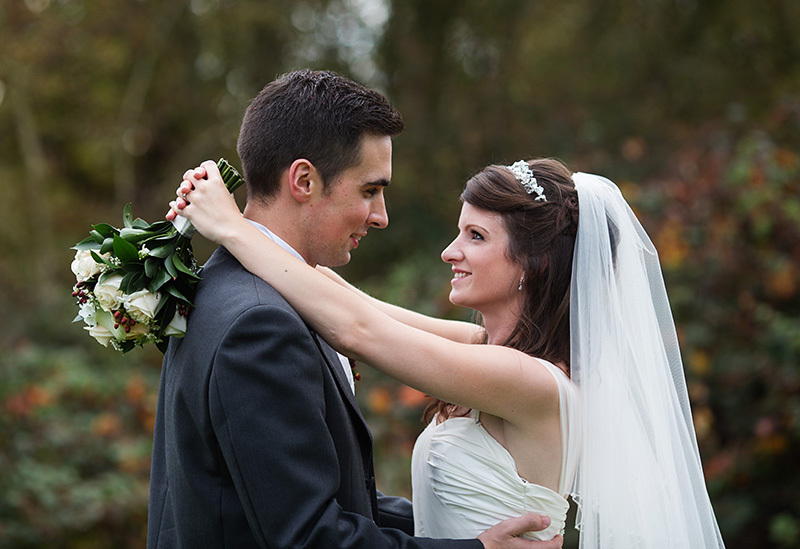 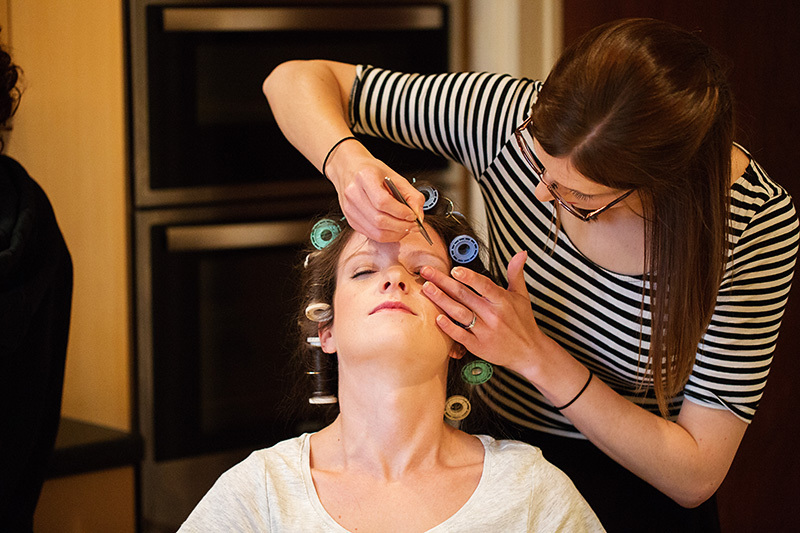 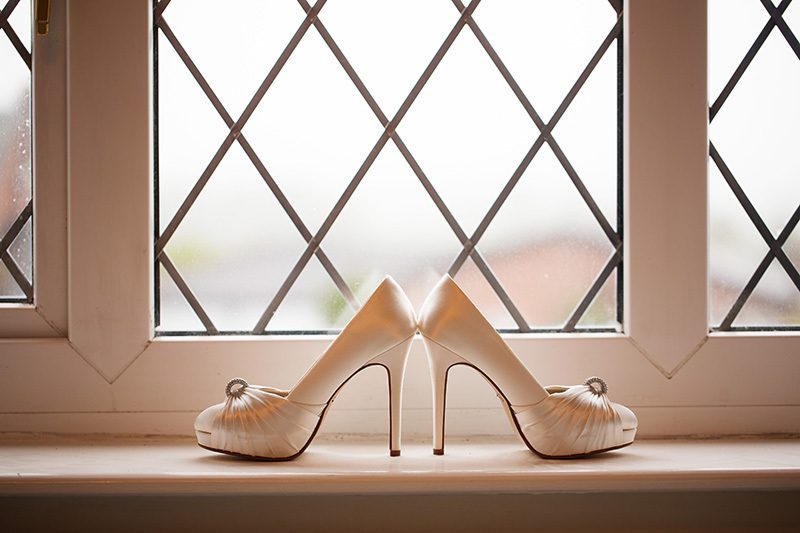 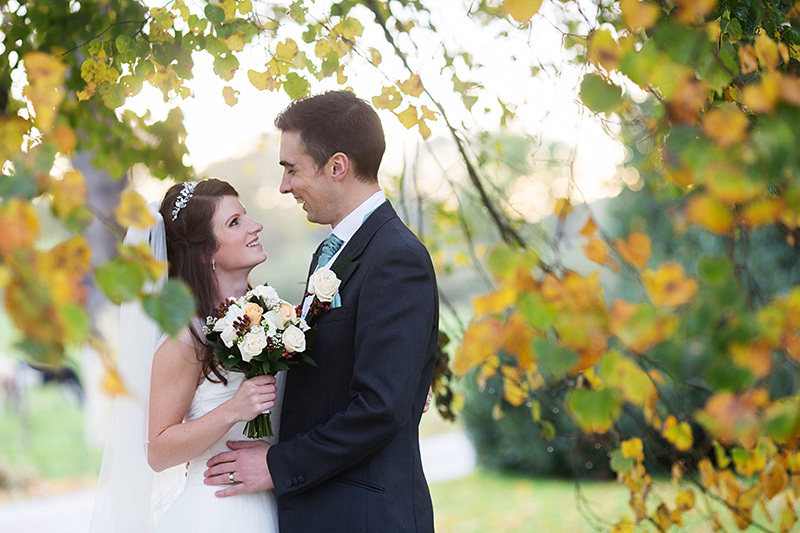 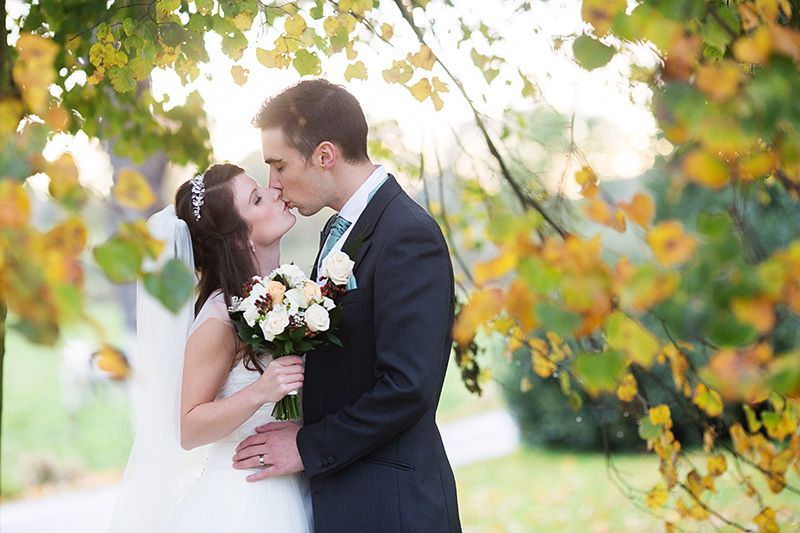 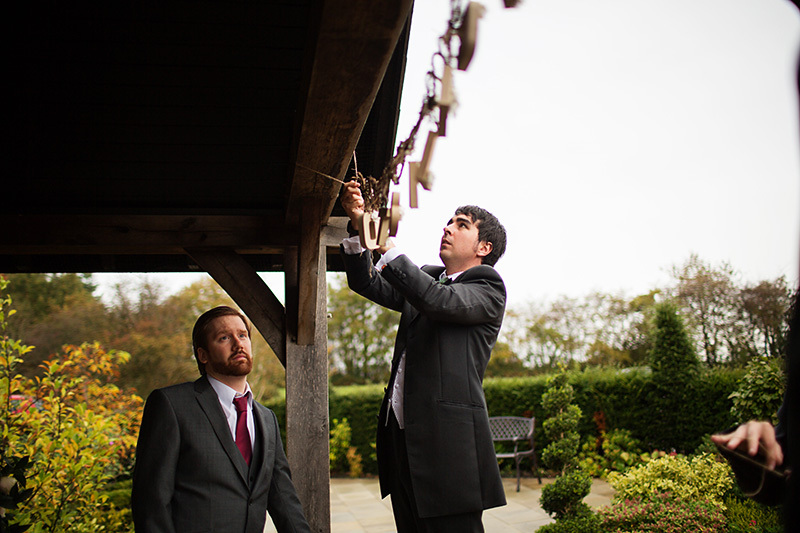 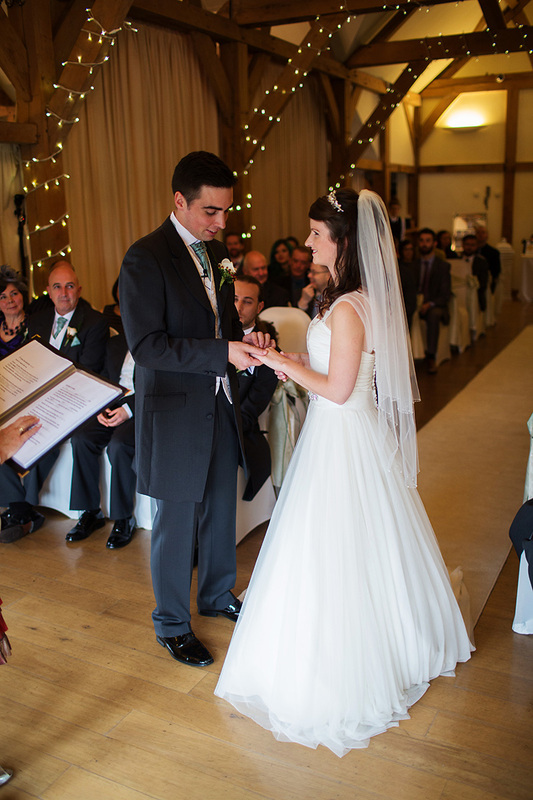 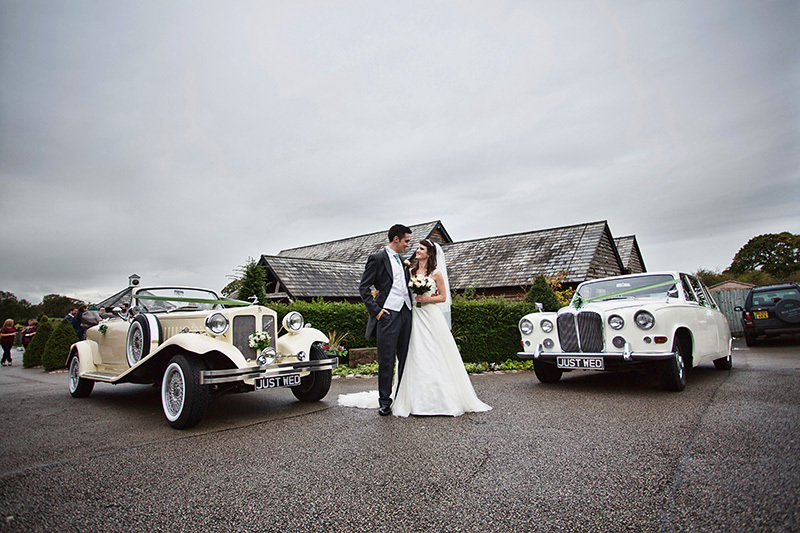 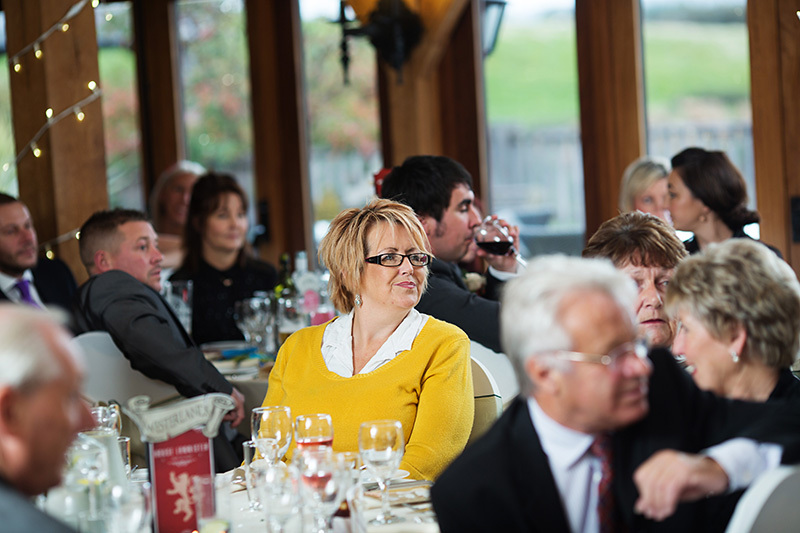 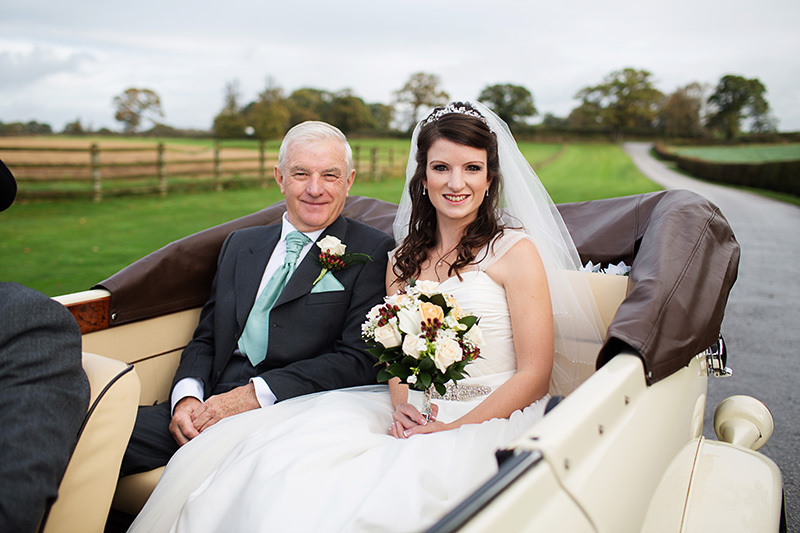 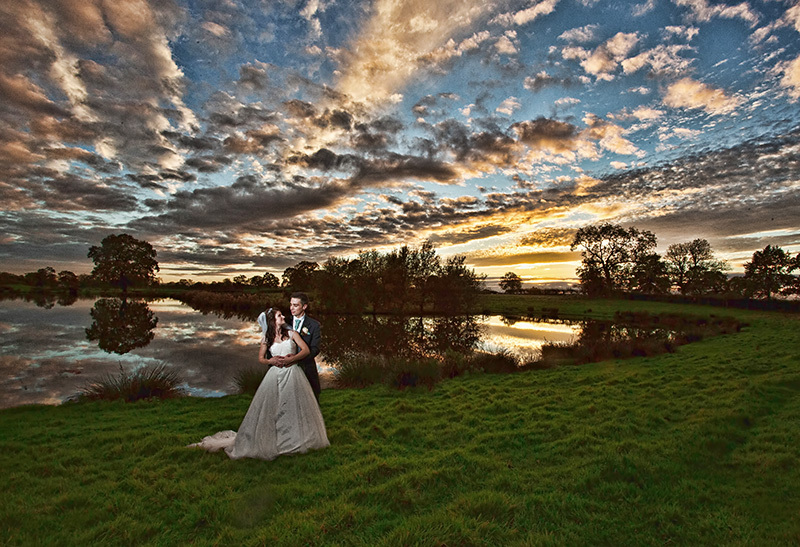 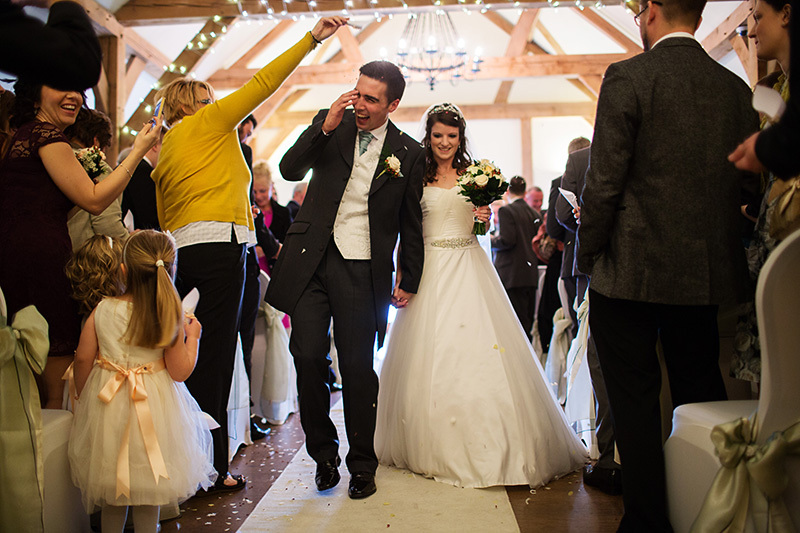 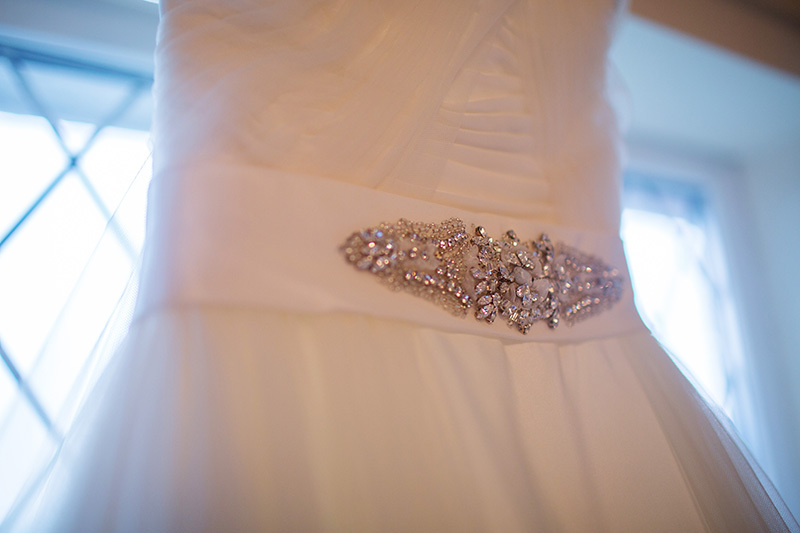 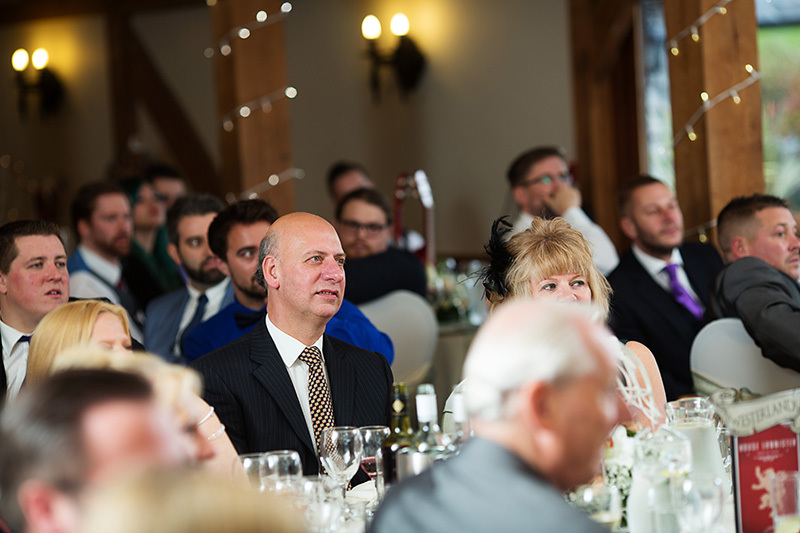 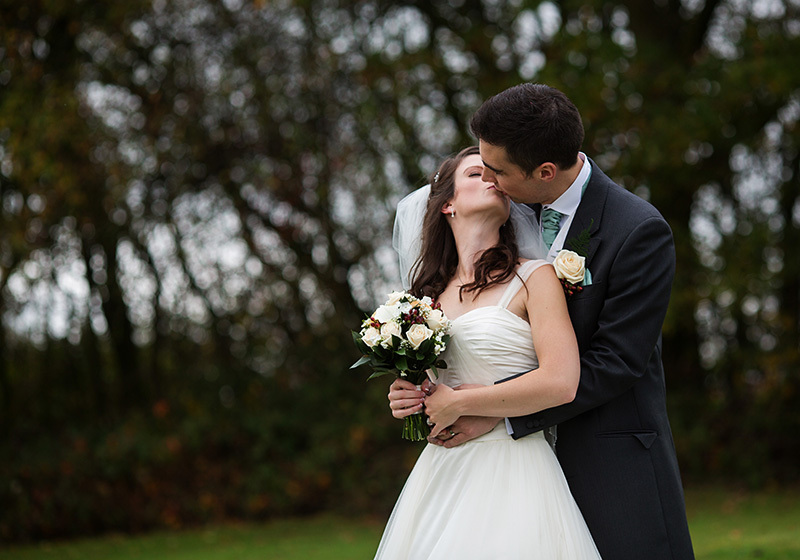 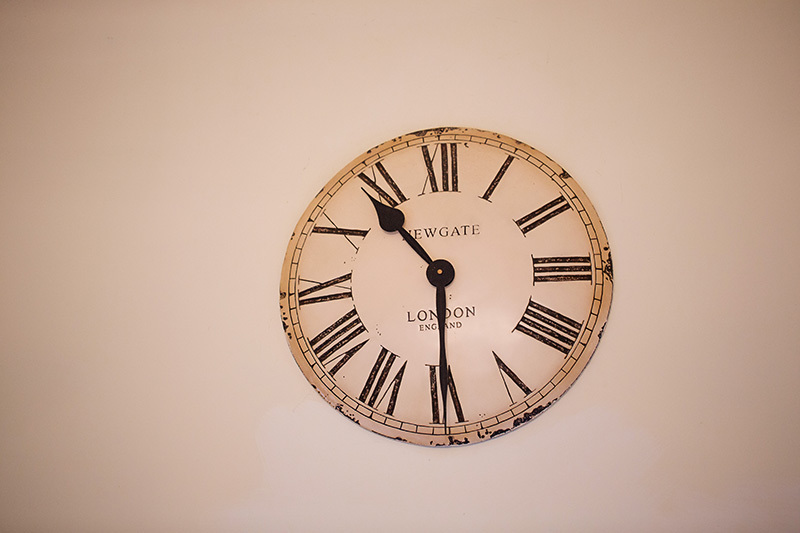 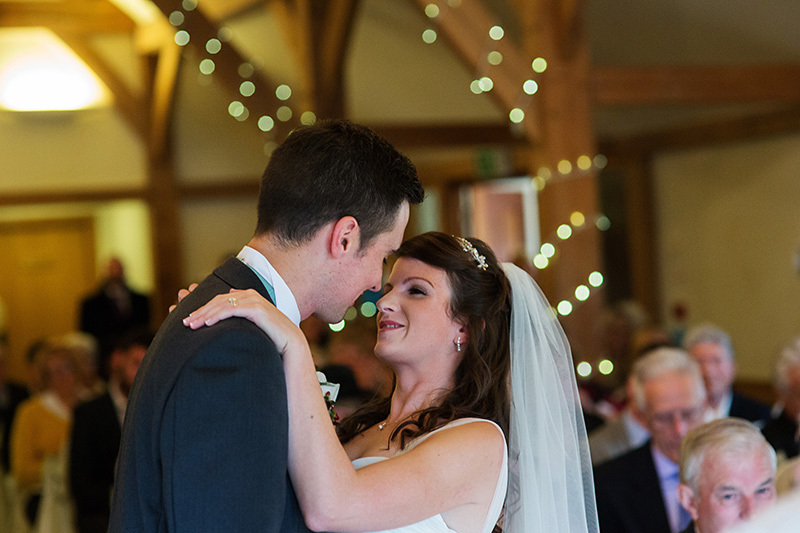 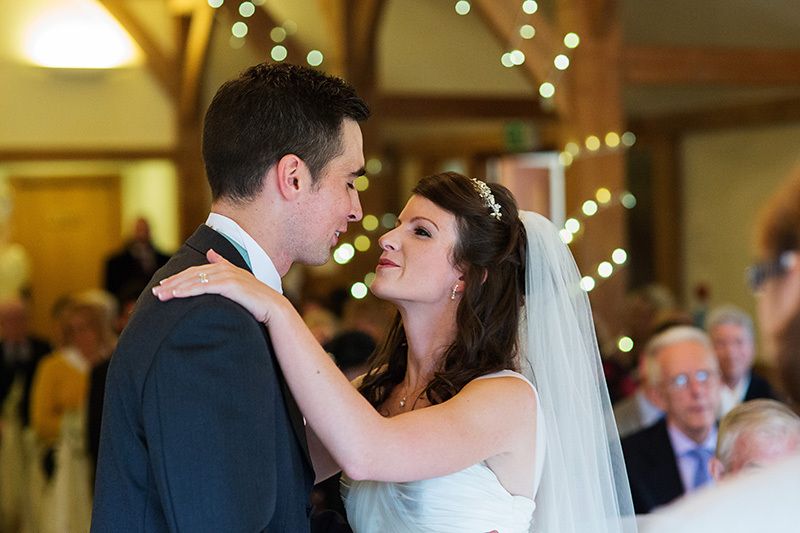 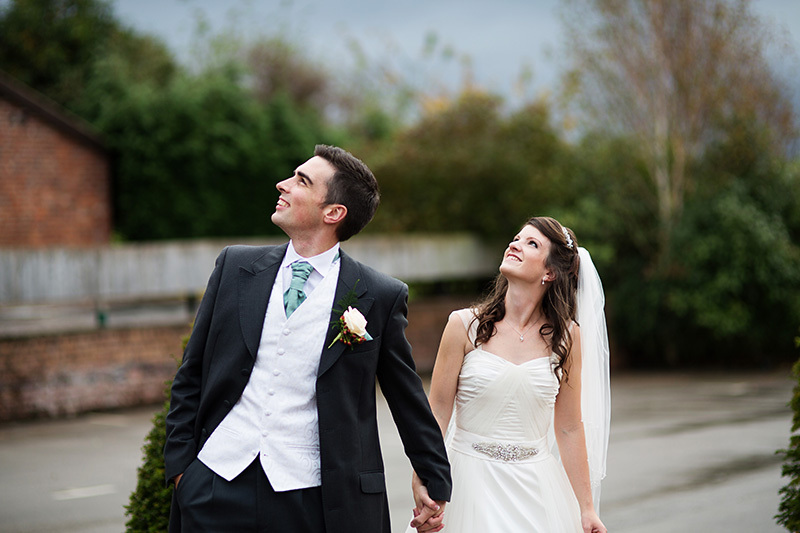 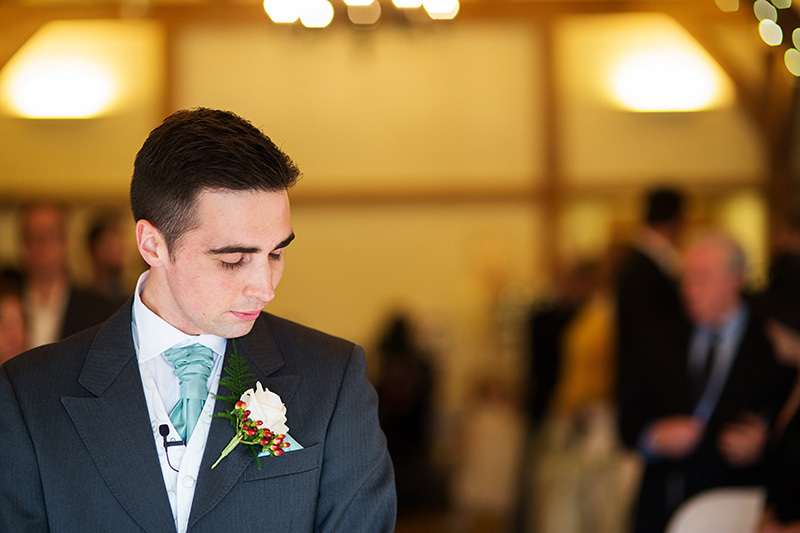 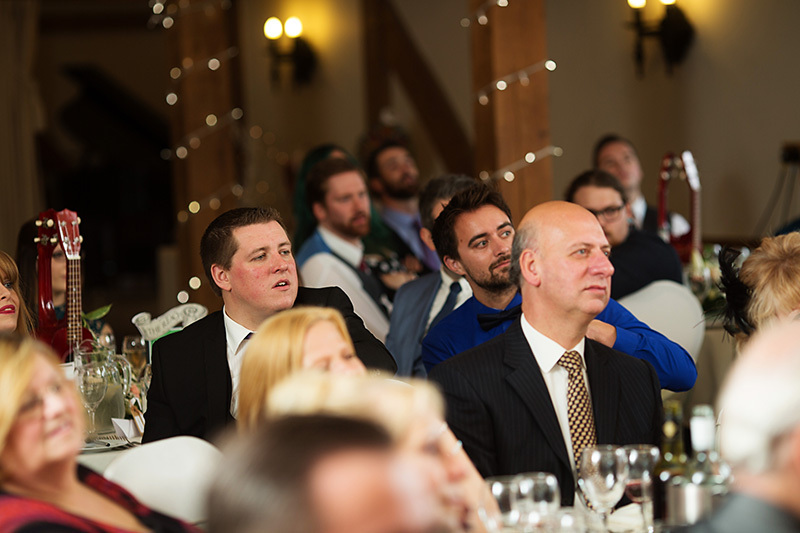 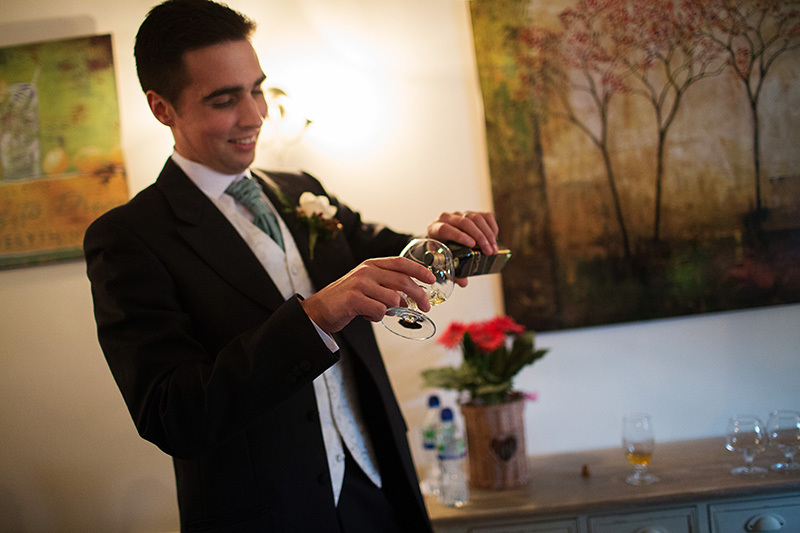 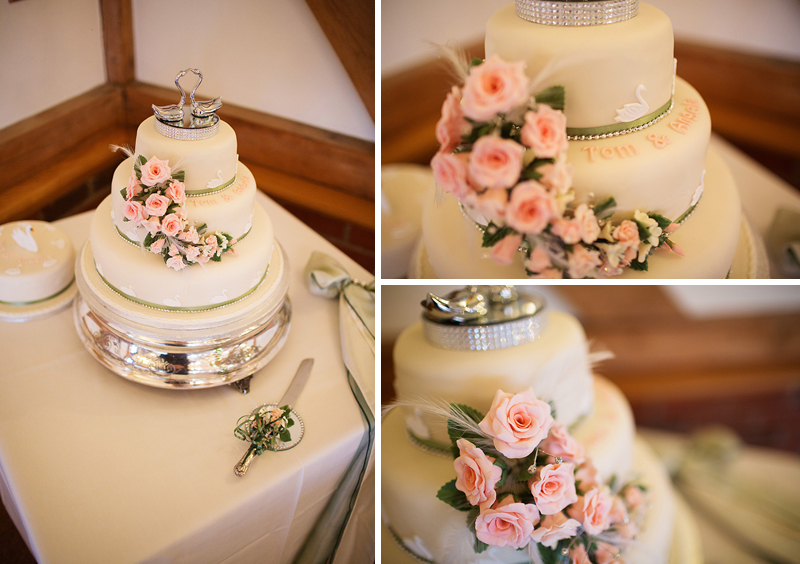 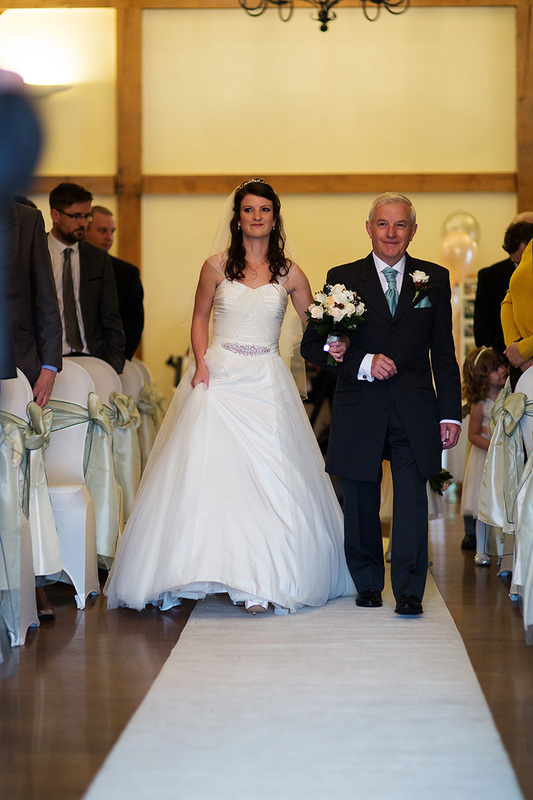 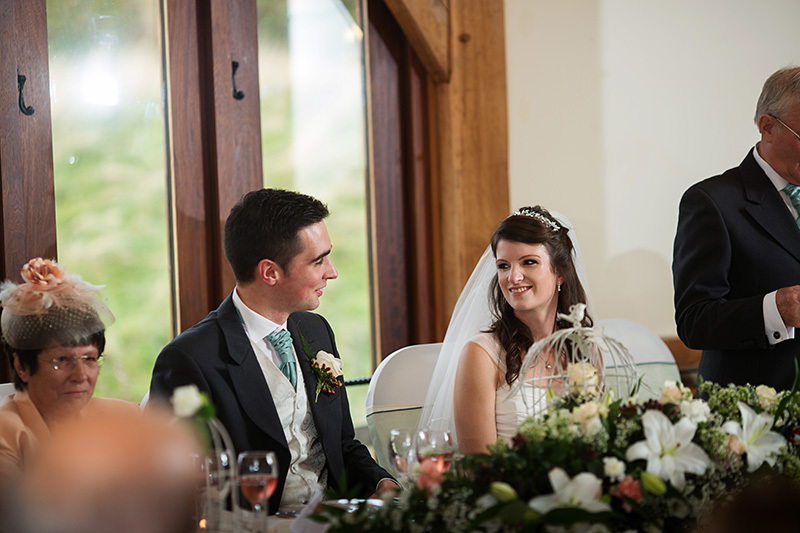 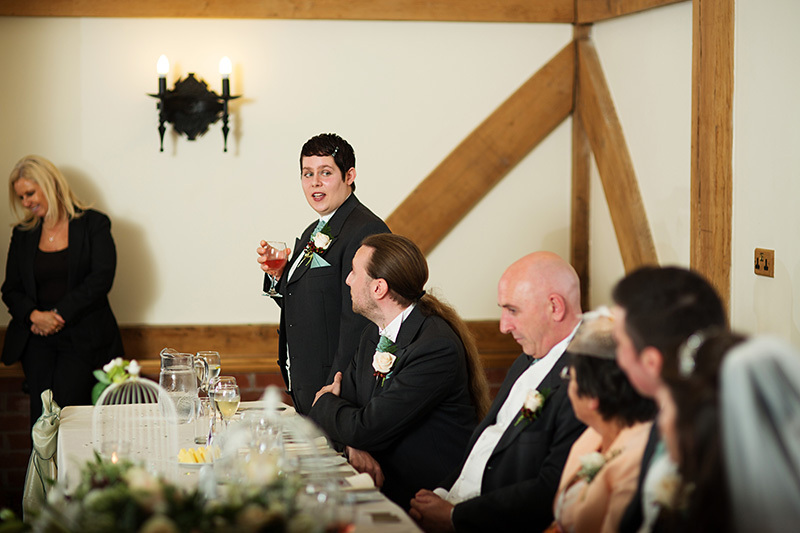 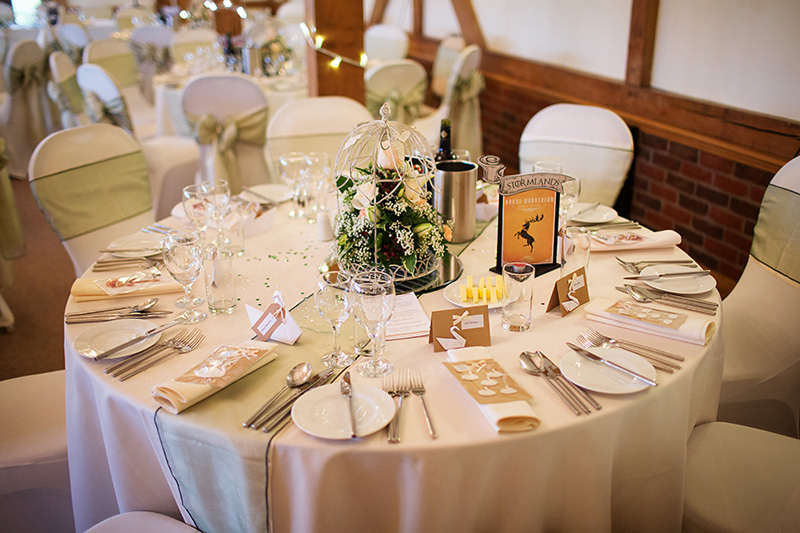 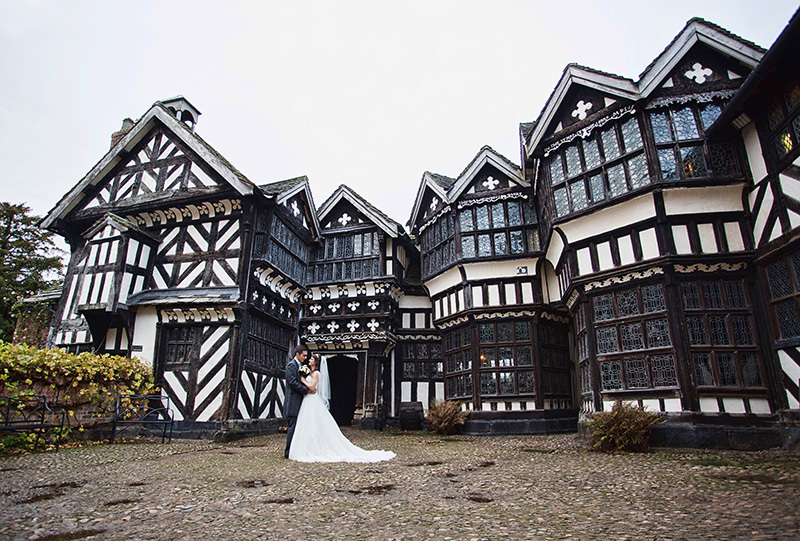 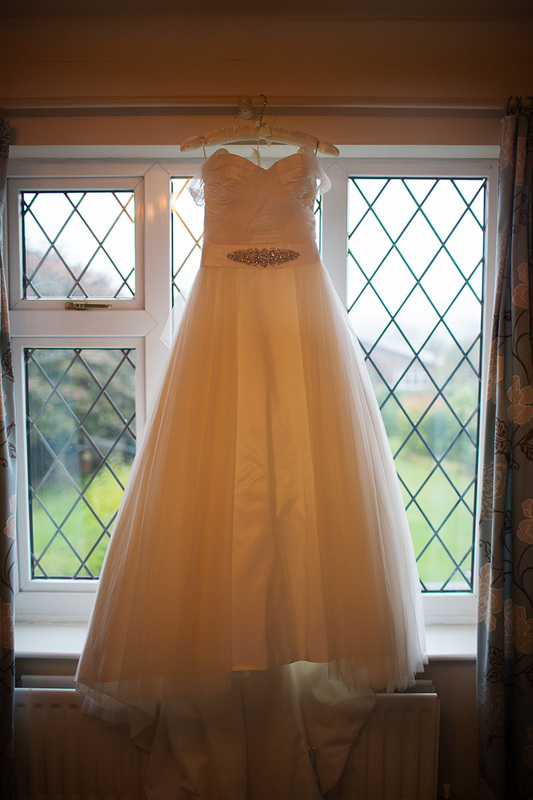 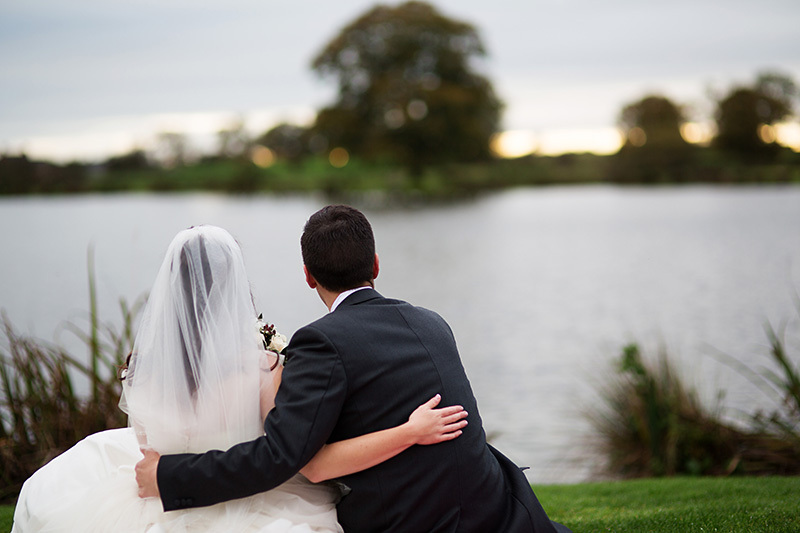 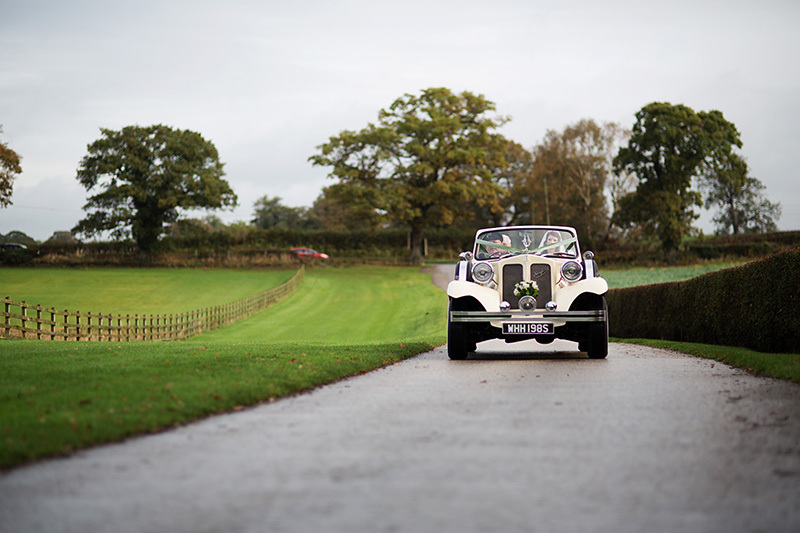 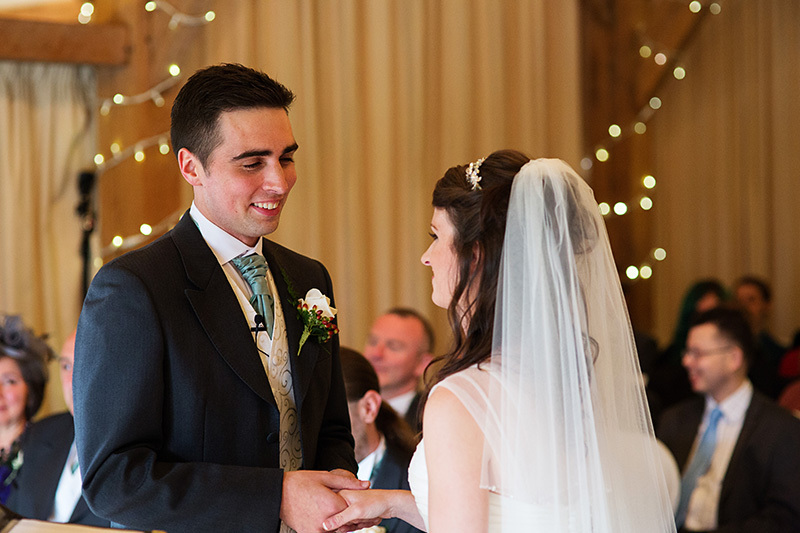 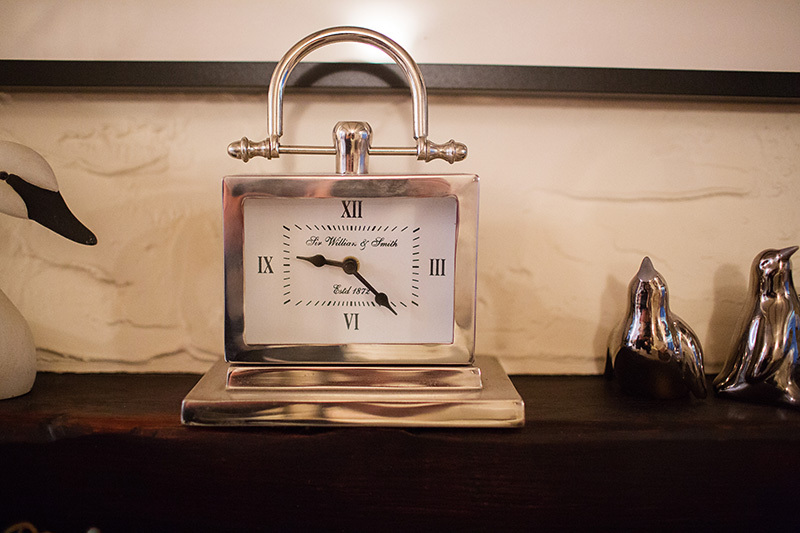 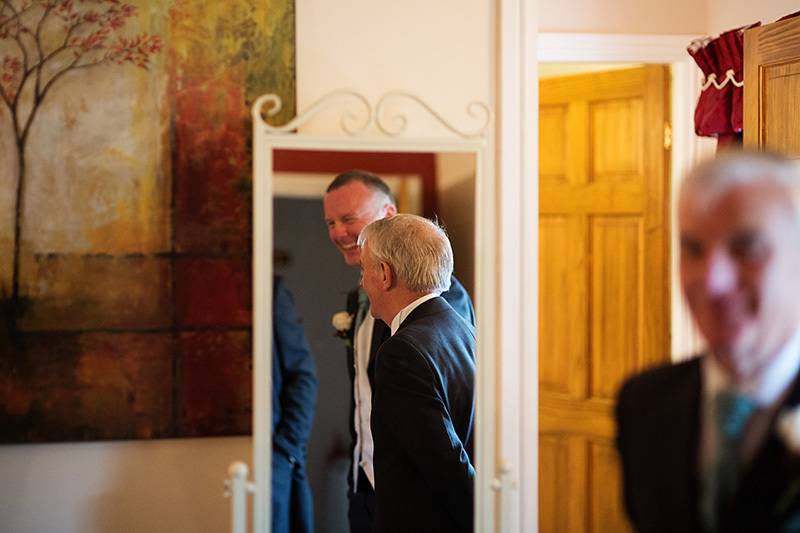 Angela and Tom were married at Sandhole Oak Barn in October. 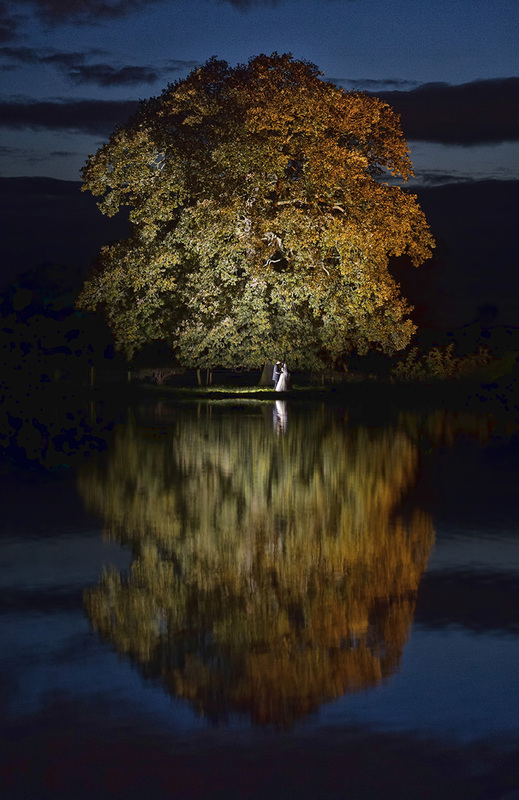 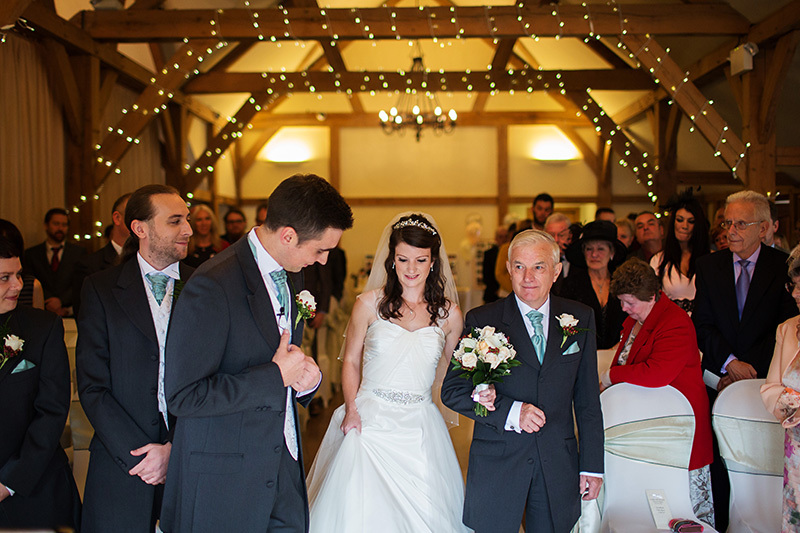 This was the first time I had been to Sandhole Oak Barn. 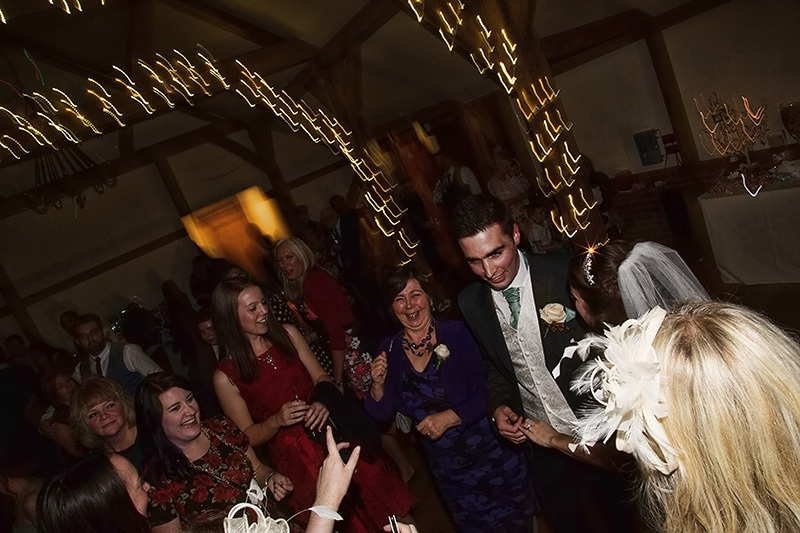 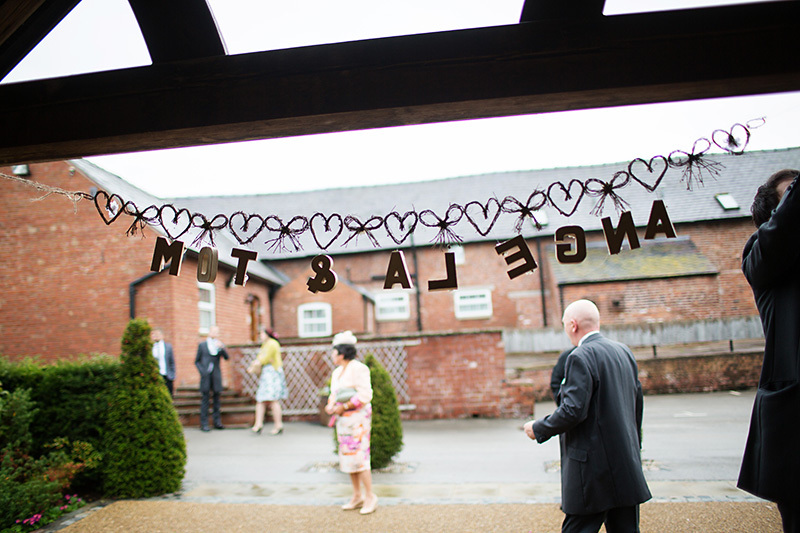 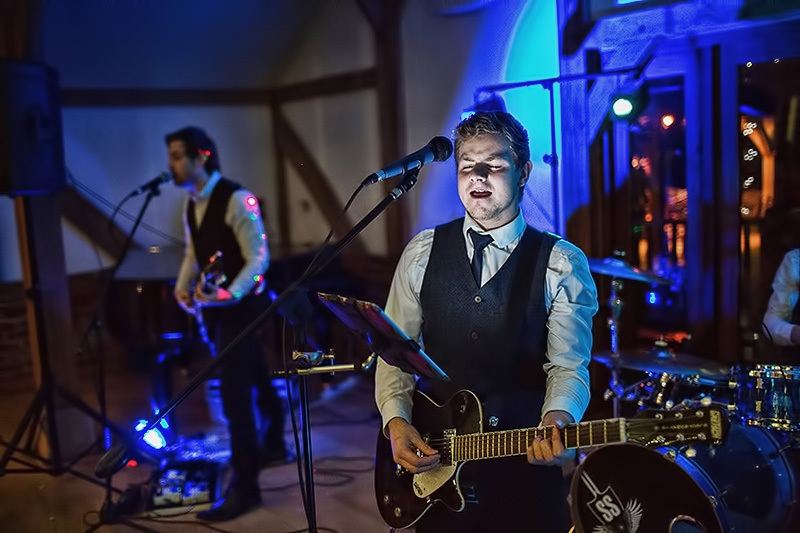 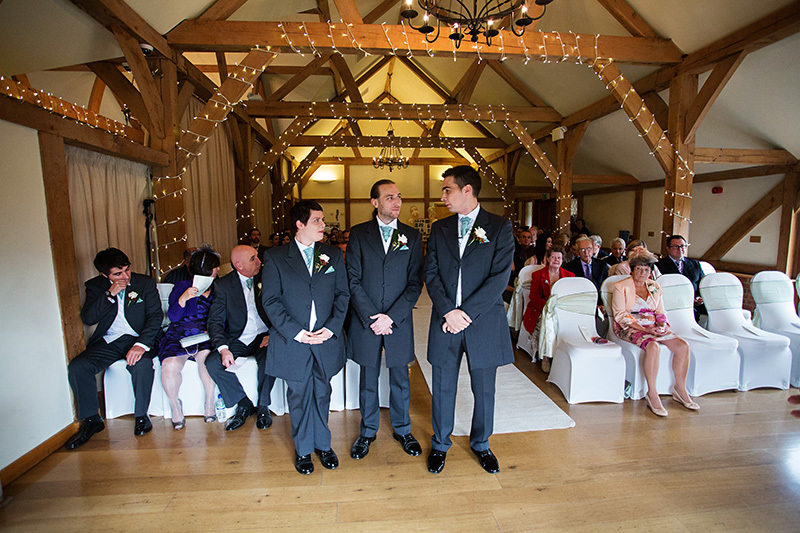 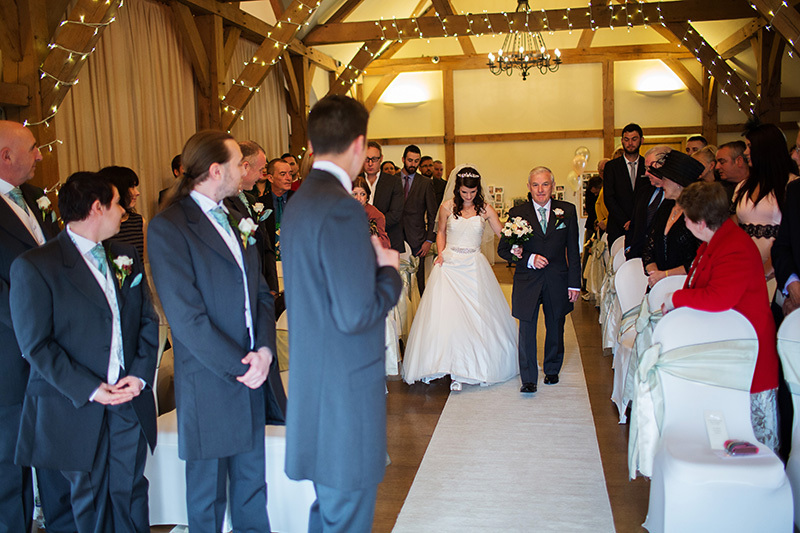 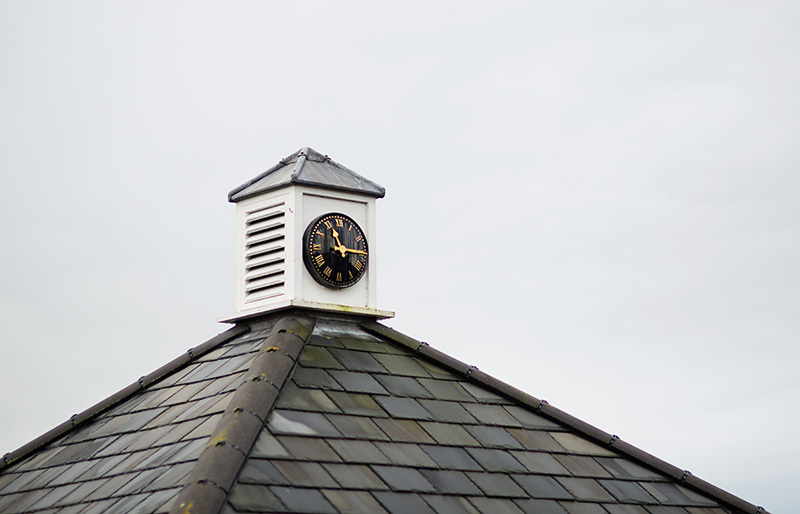 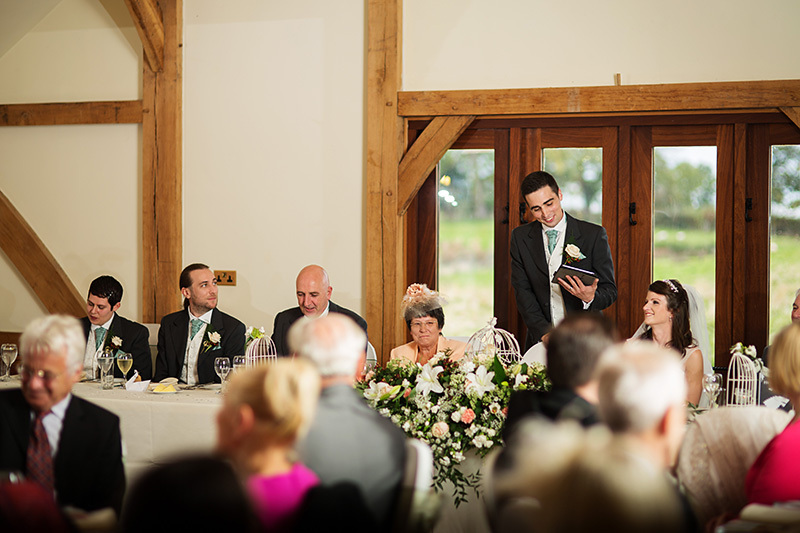 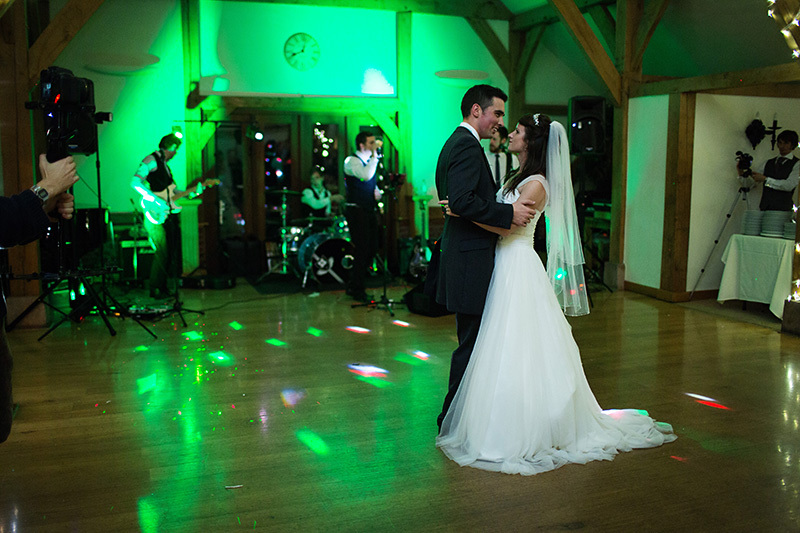 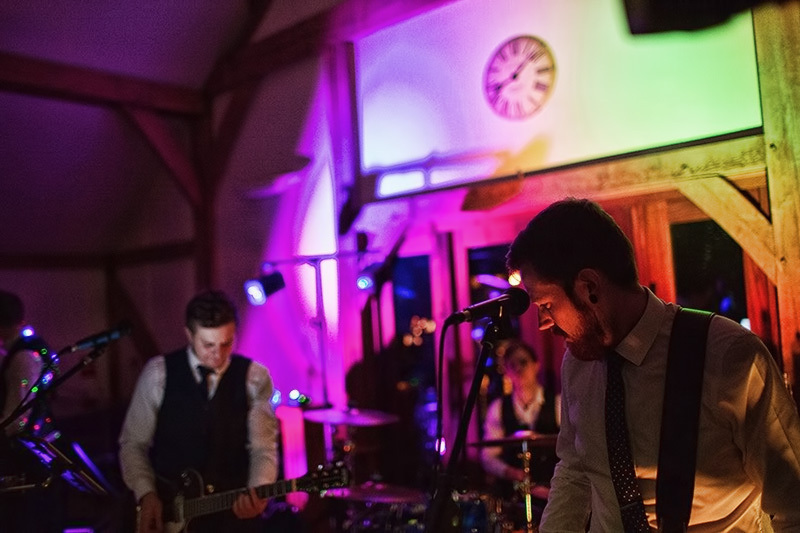 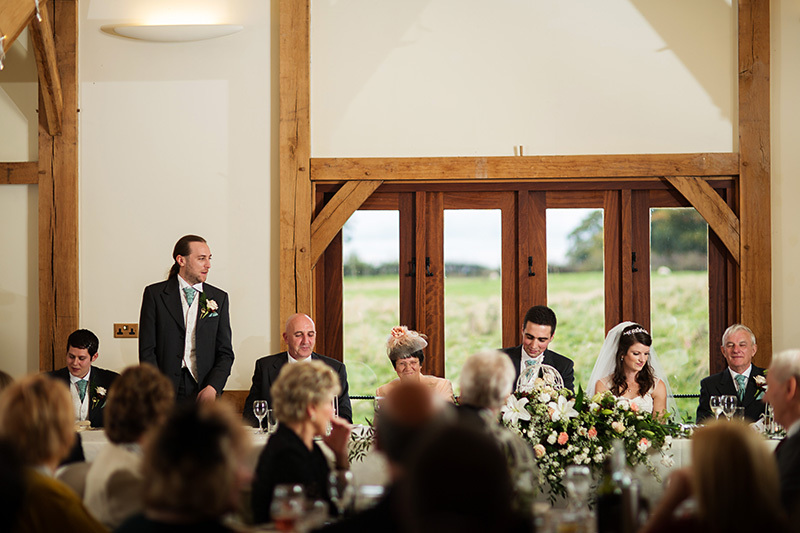 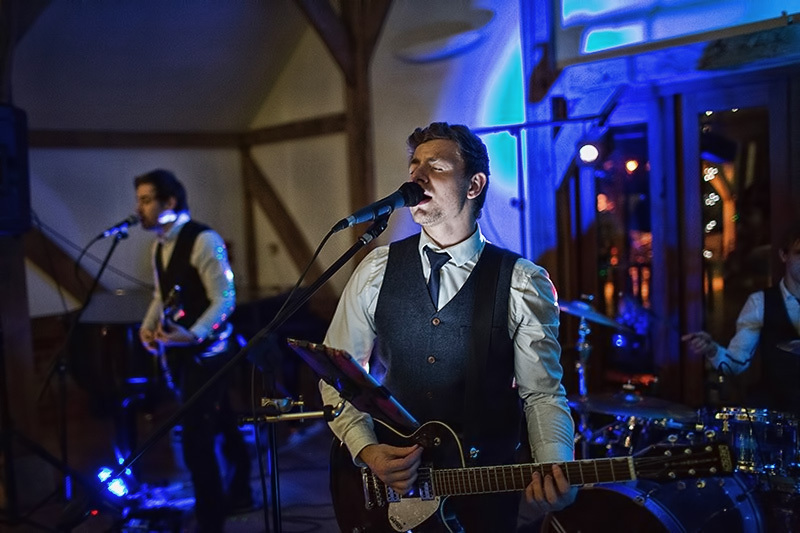 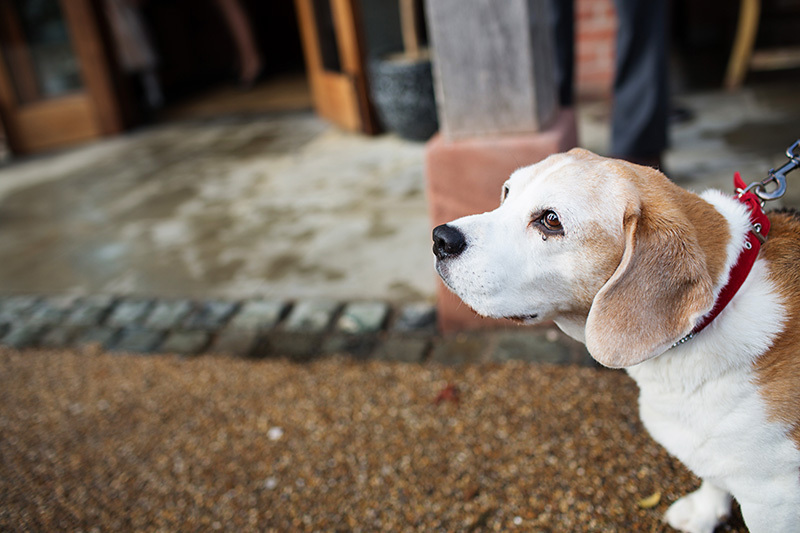 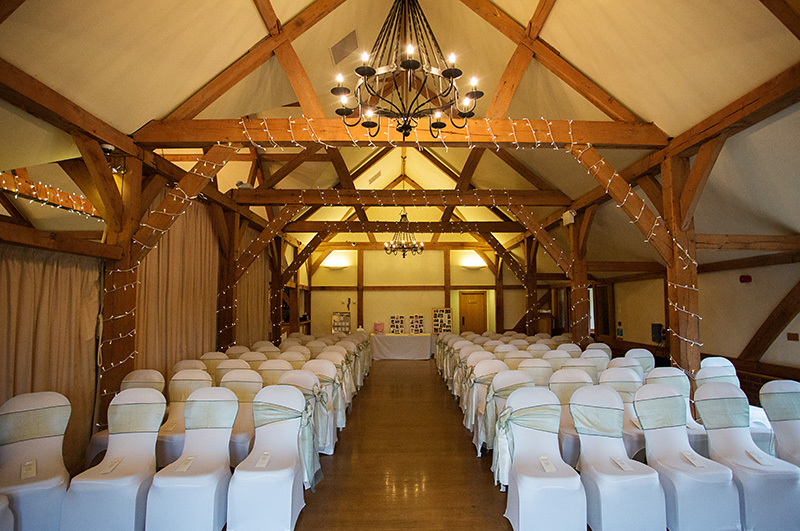 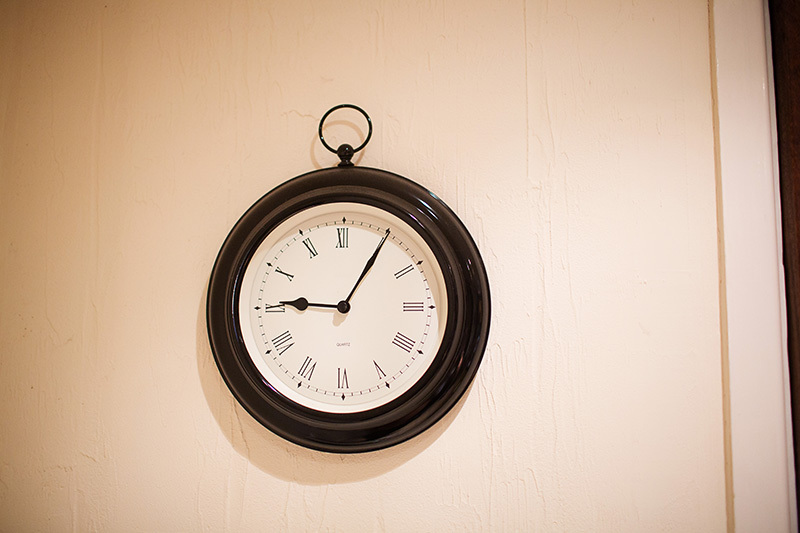 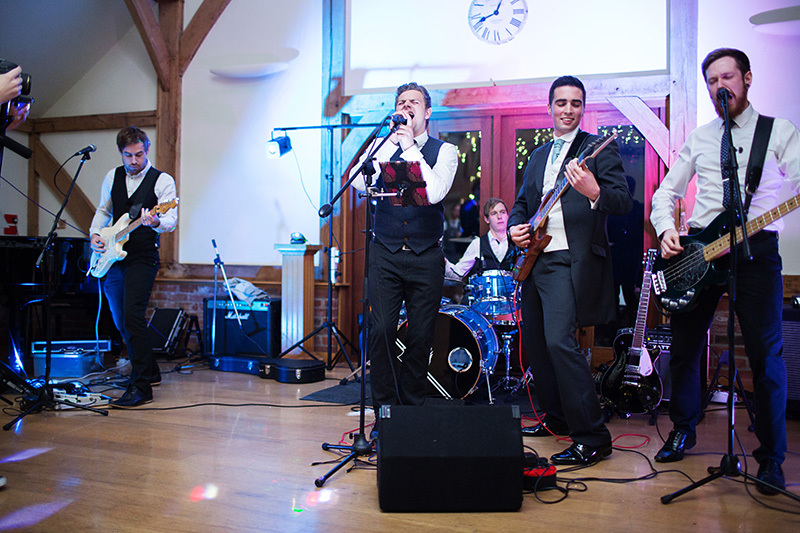 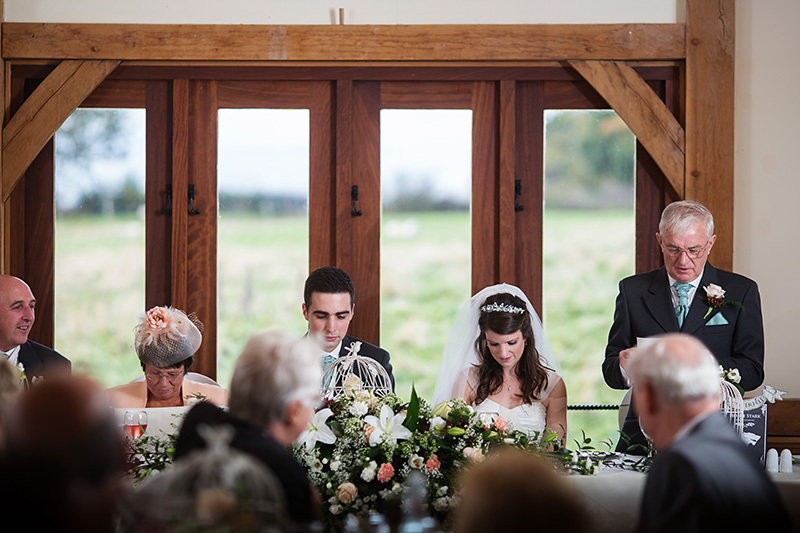 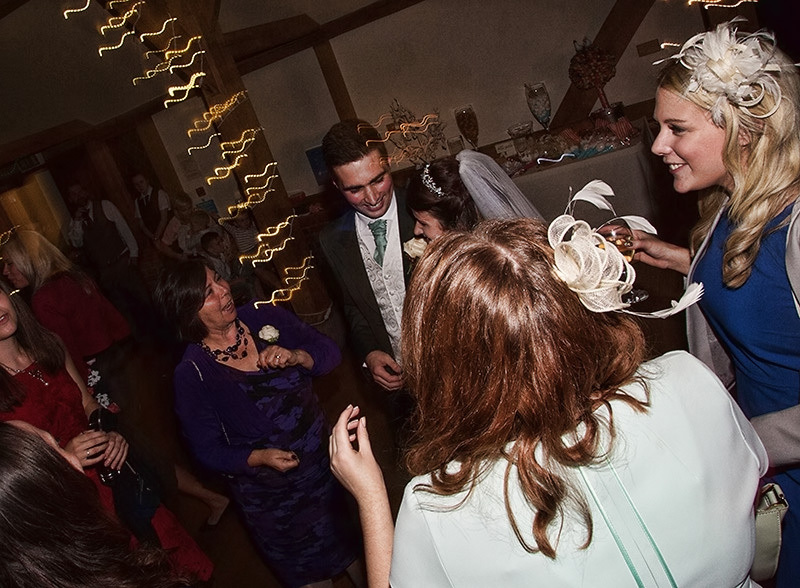 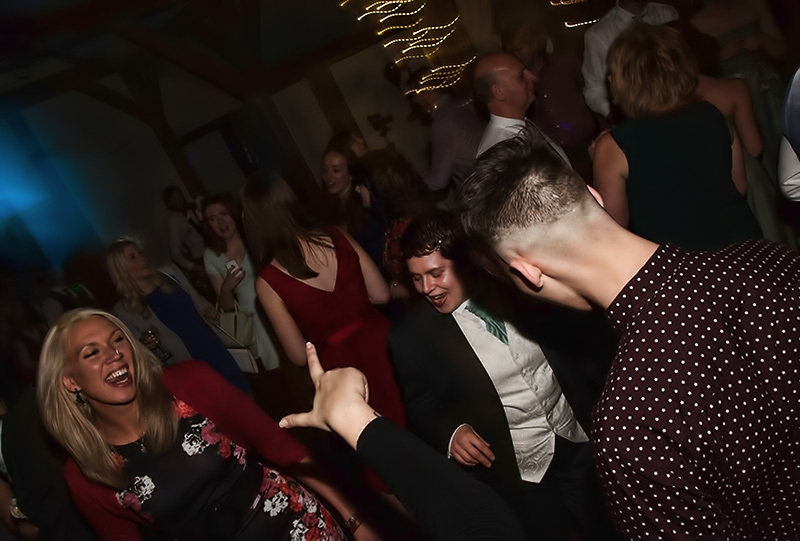 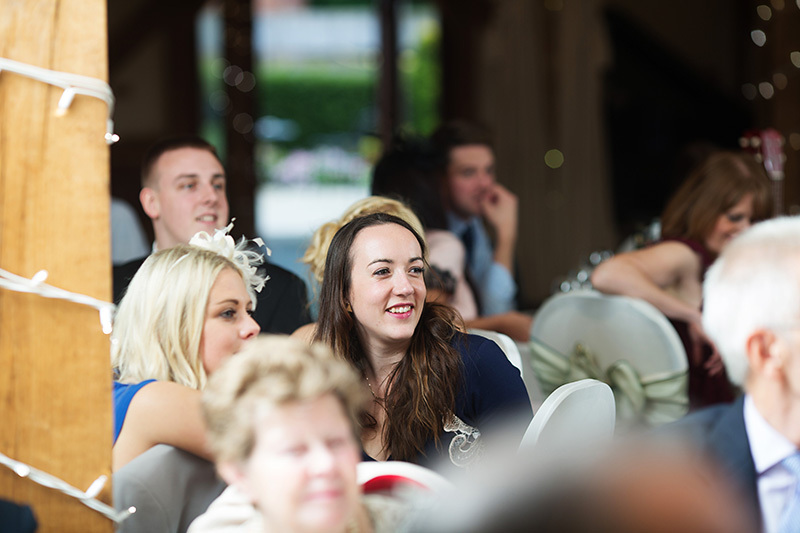 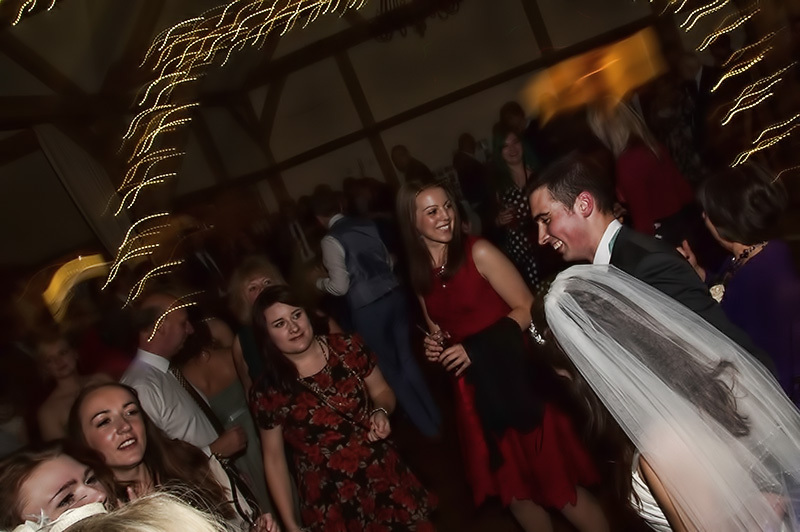 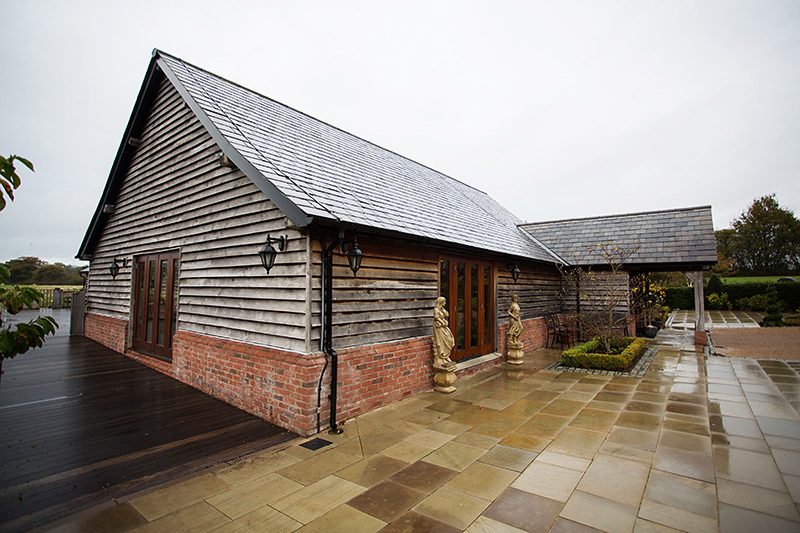 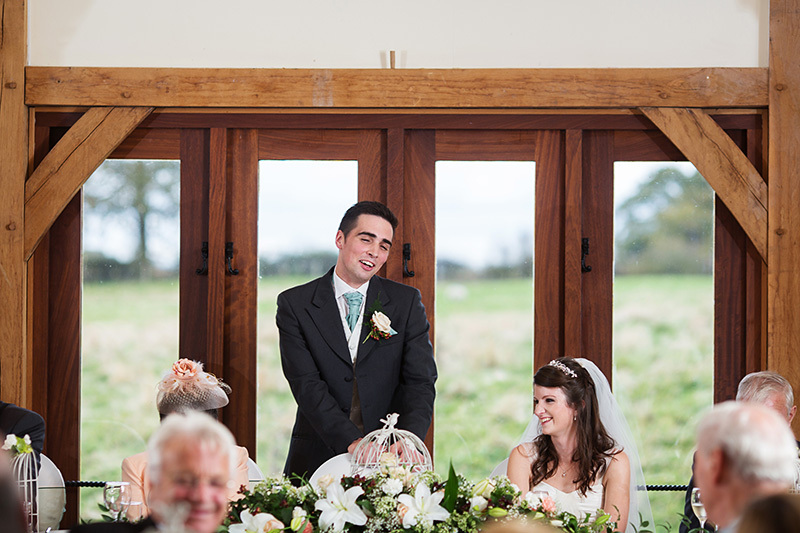 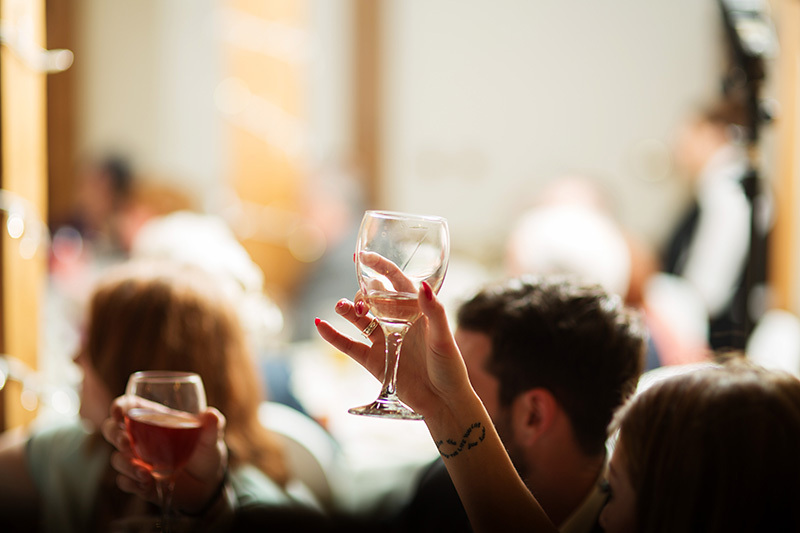 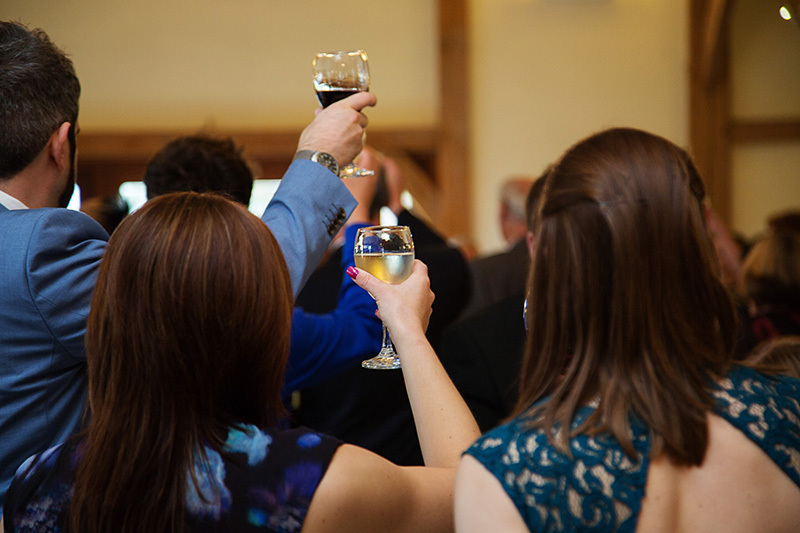 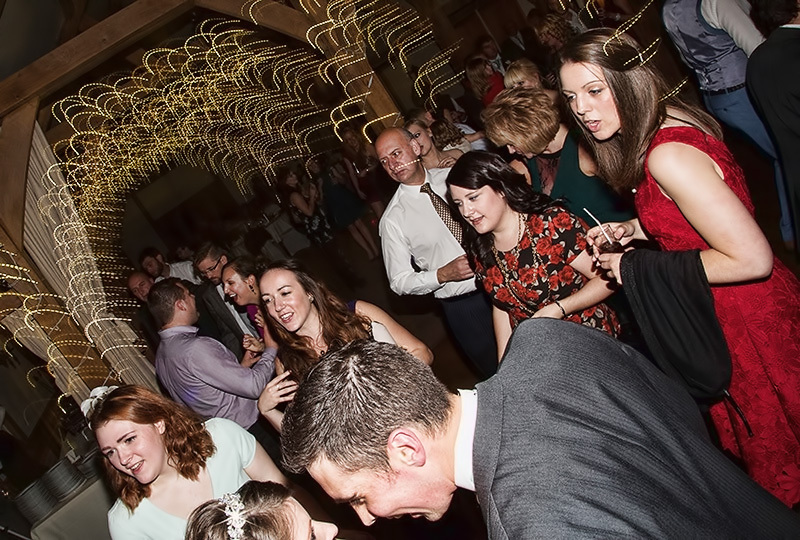 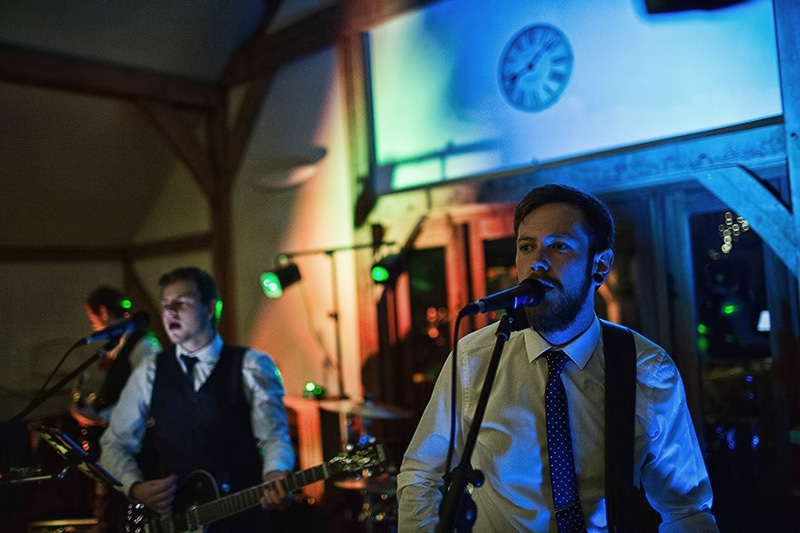 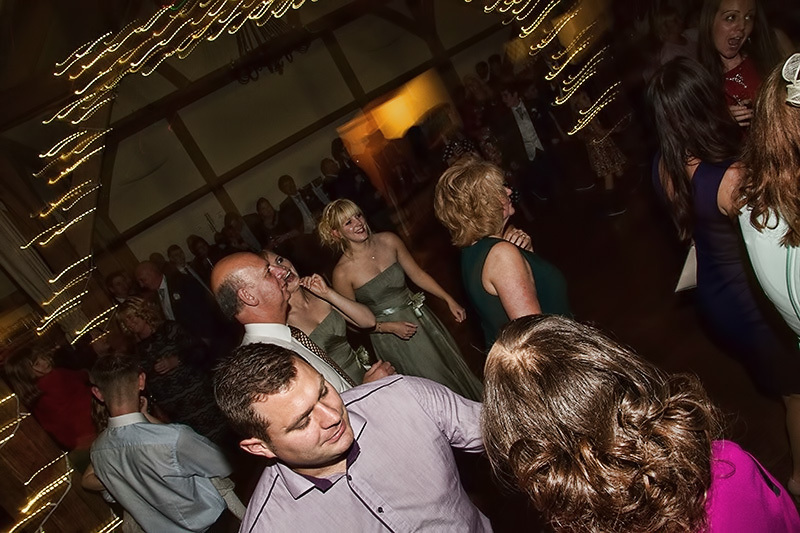 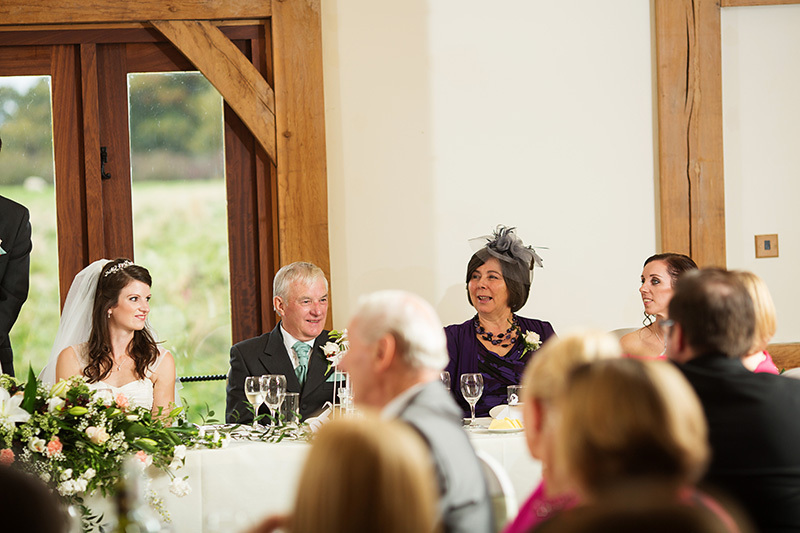 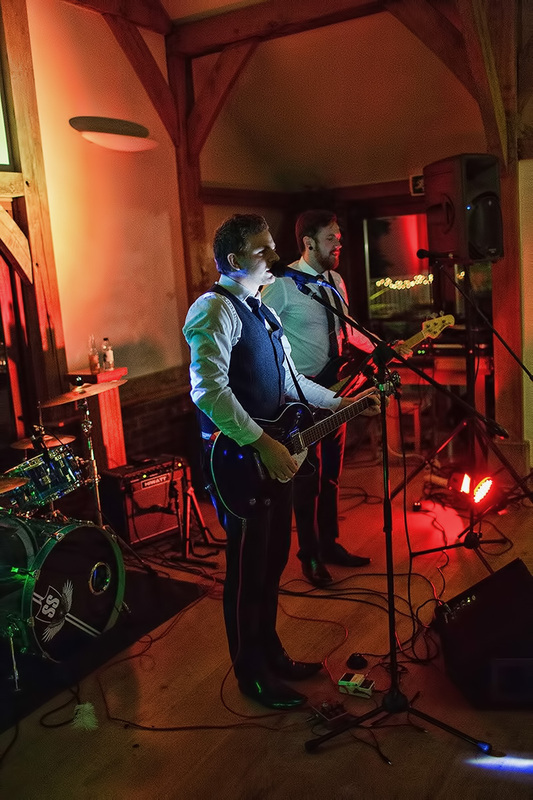 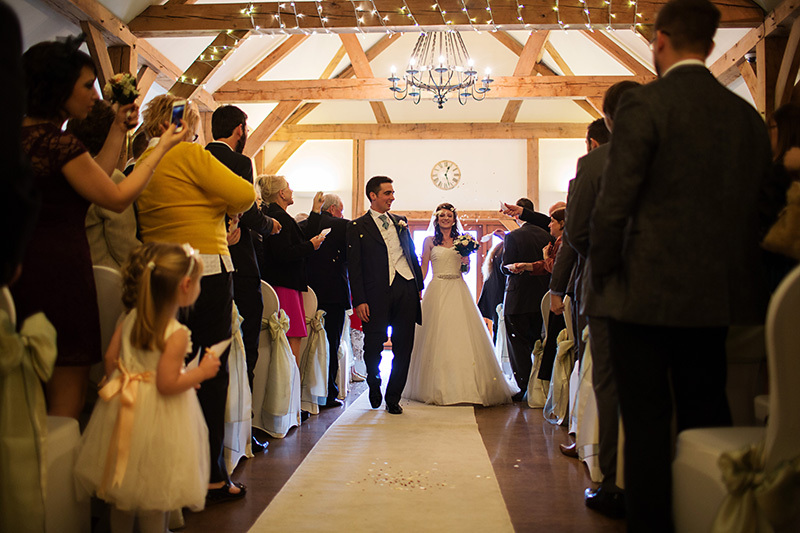 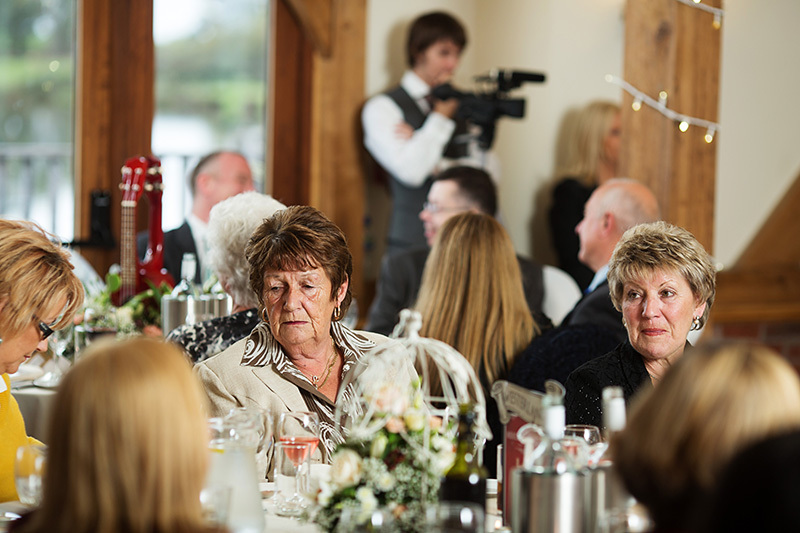 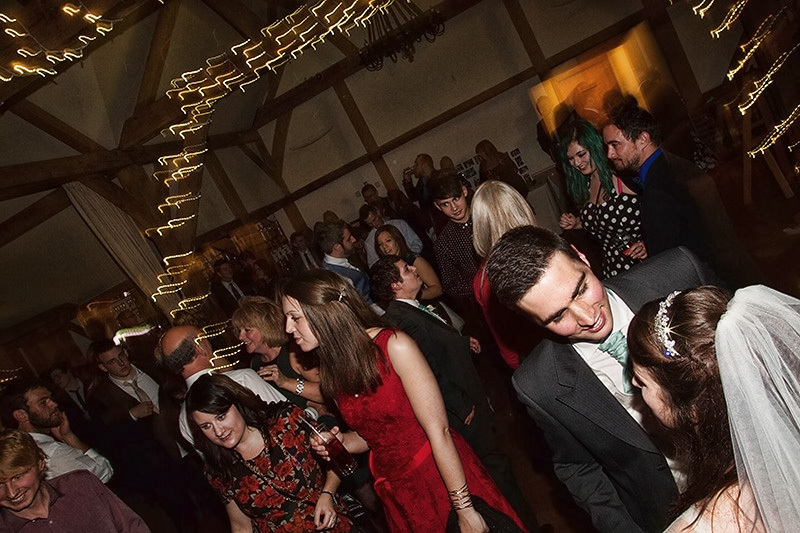 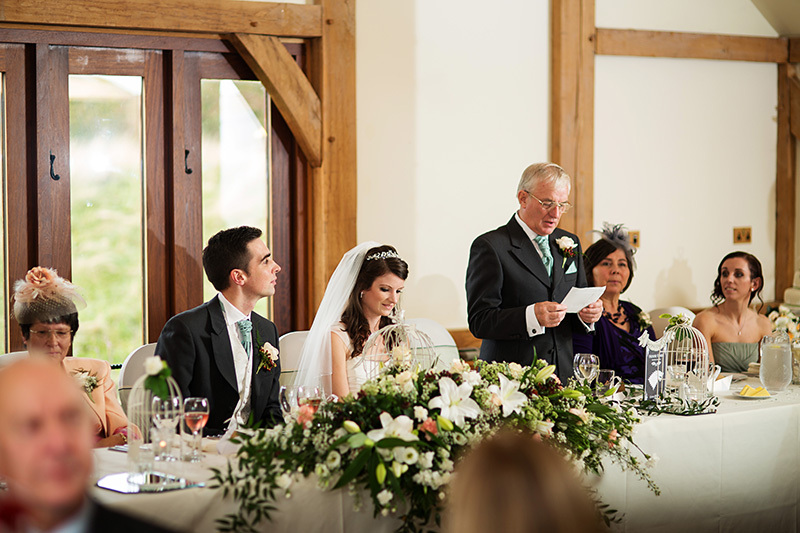 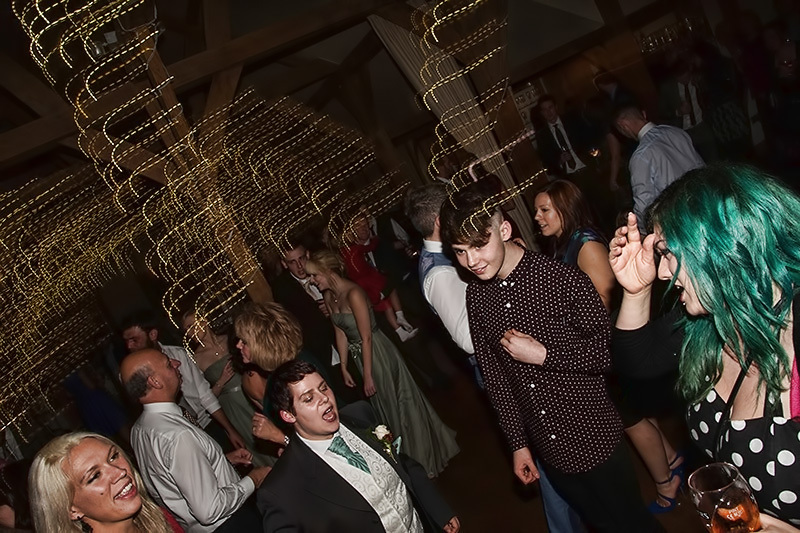 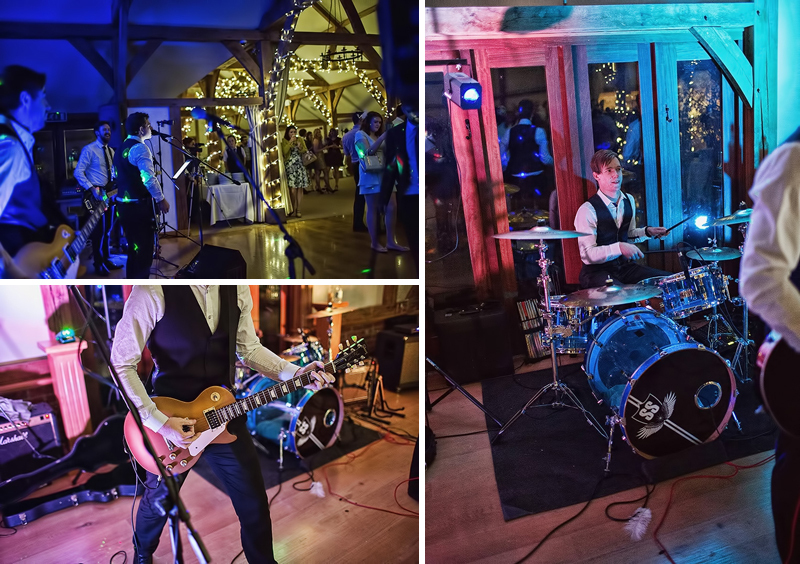 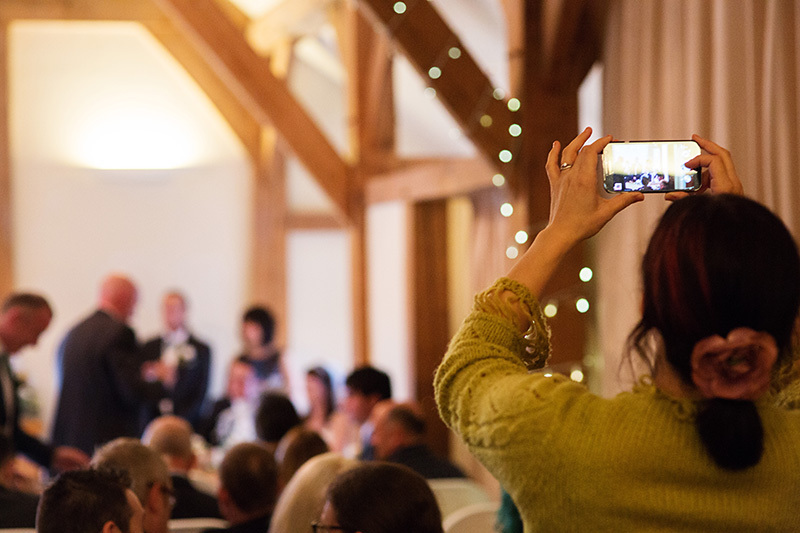 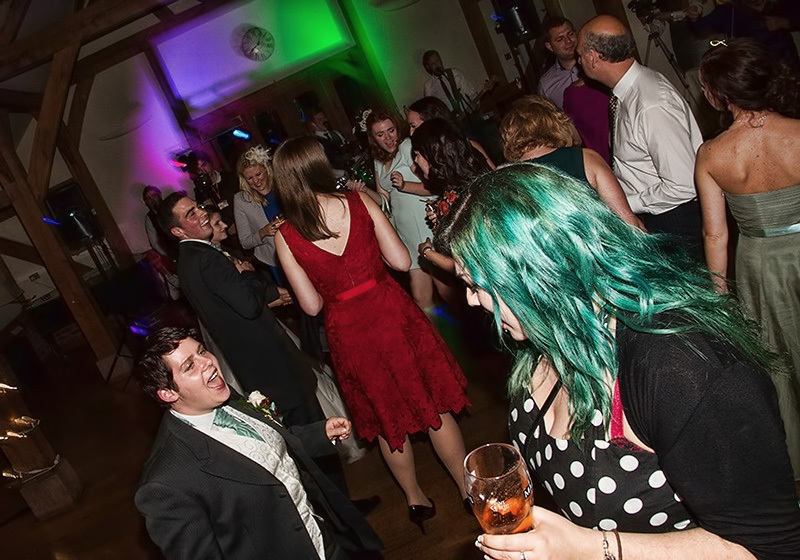 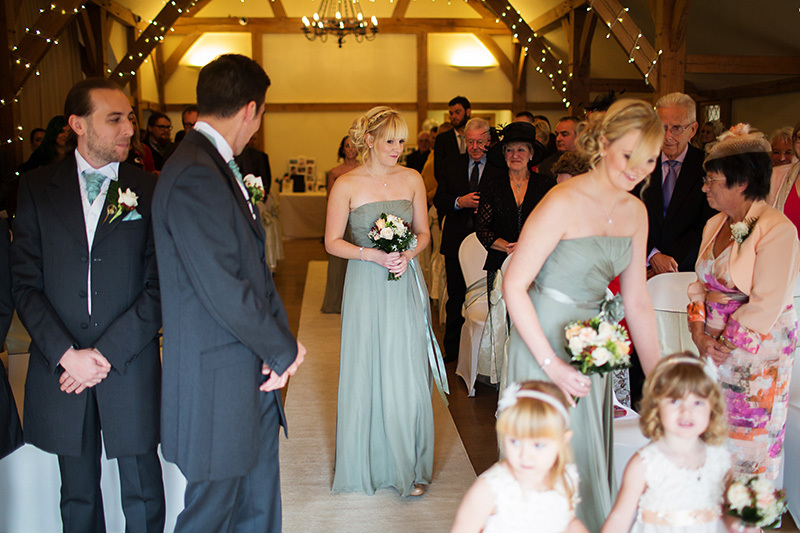 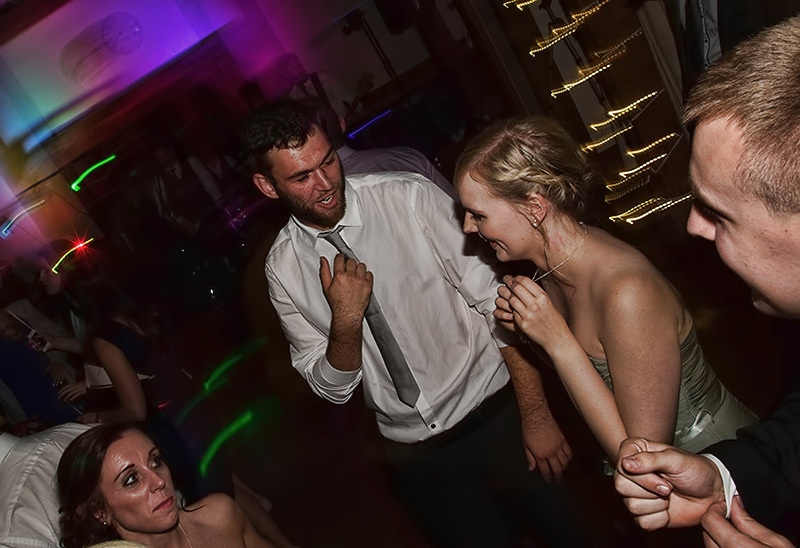 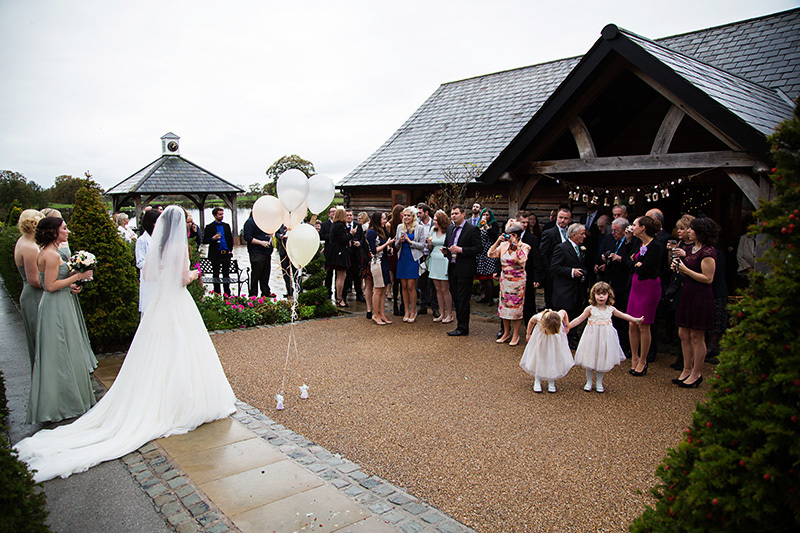 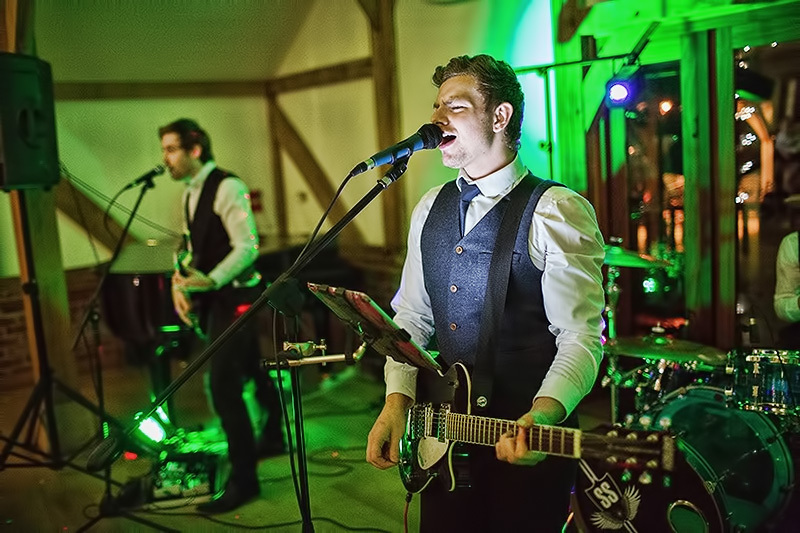 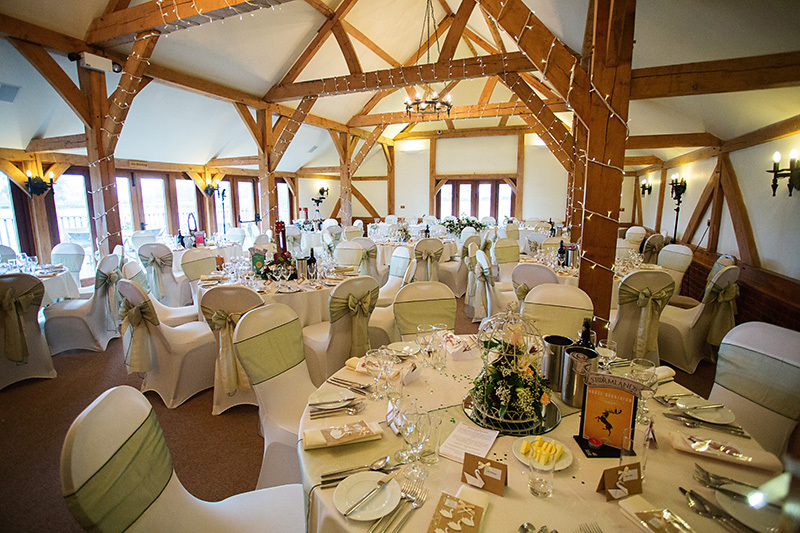 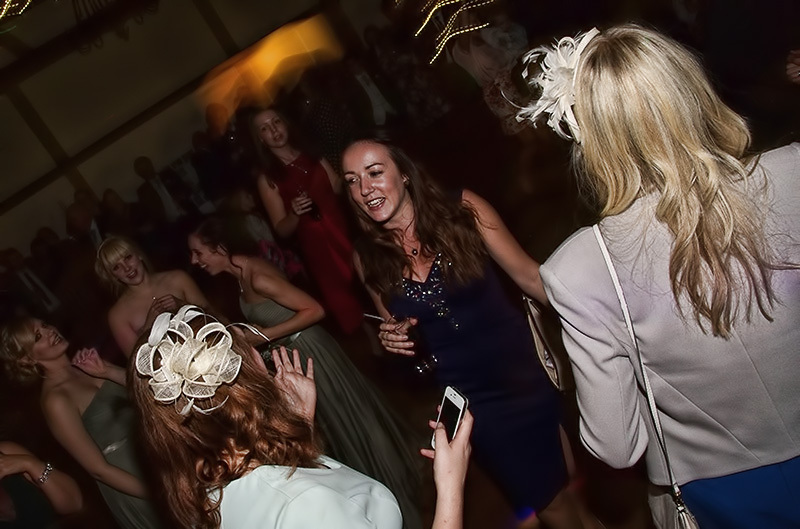 It’s a rustic barn venue close to Congleton in Cheshire. 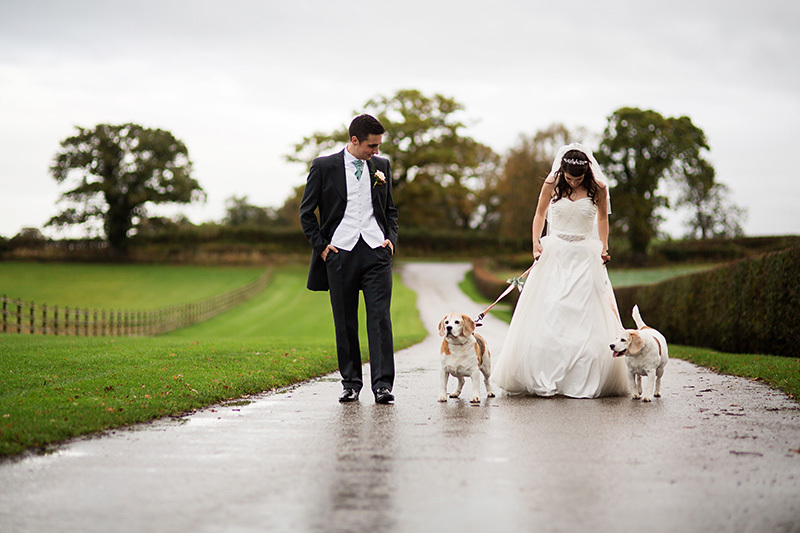 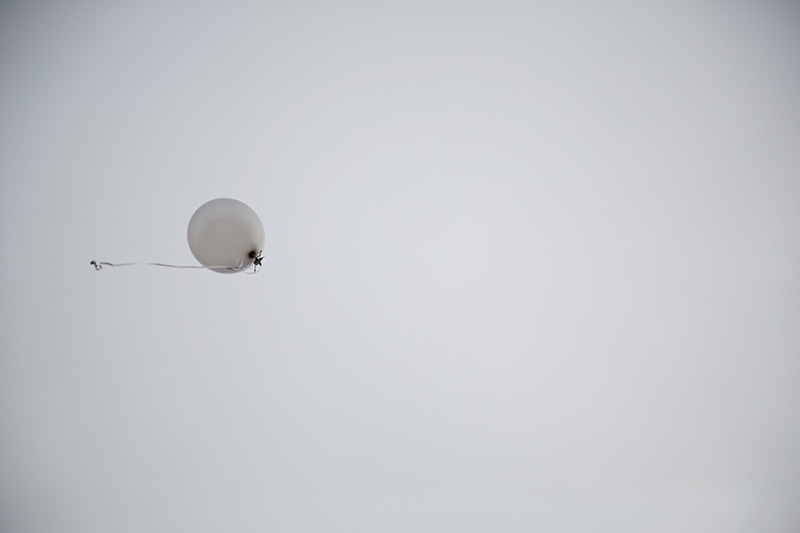 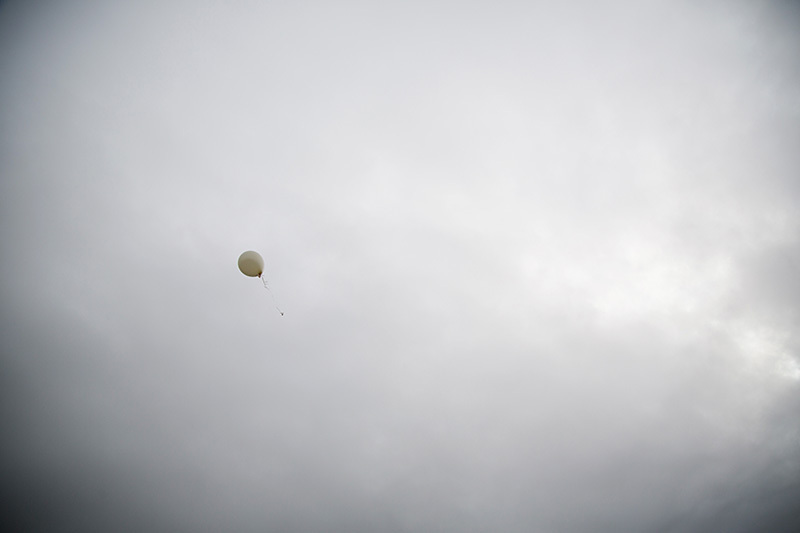 The day started with rain and continued with rain! 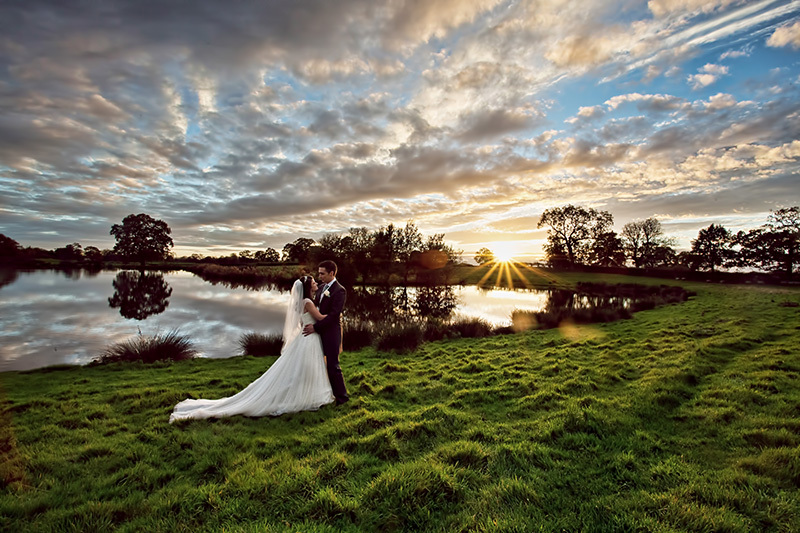 I was wondering if we’d ever see the sun but it did eventually appear right at sunset to give us some amazing views over the lake. 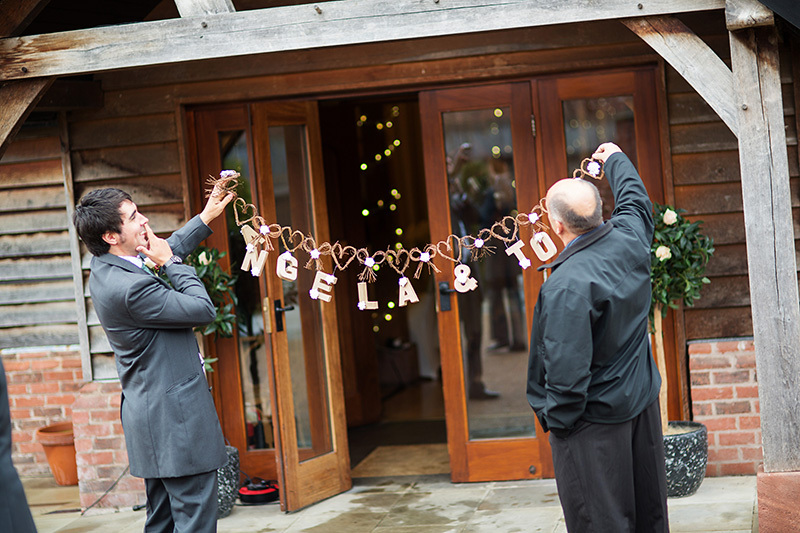 Angela and Tom put on a really lovely wedding, everything from the decorations to the food. 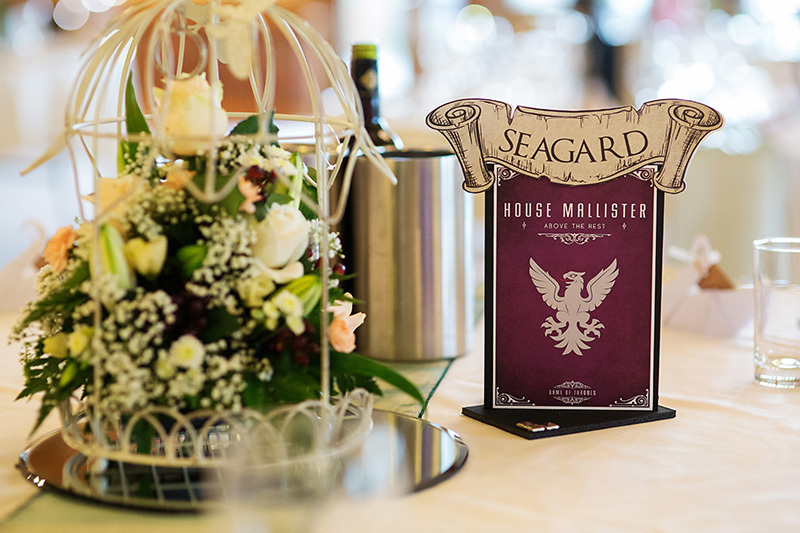 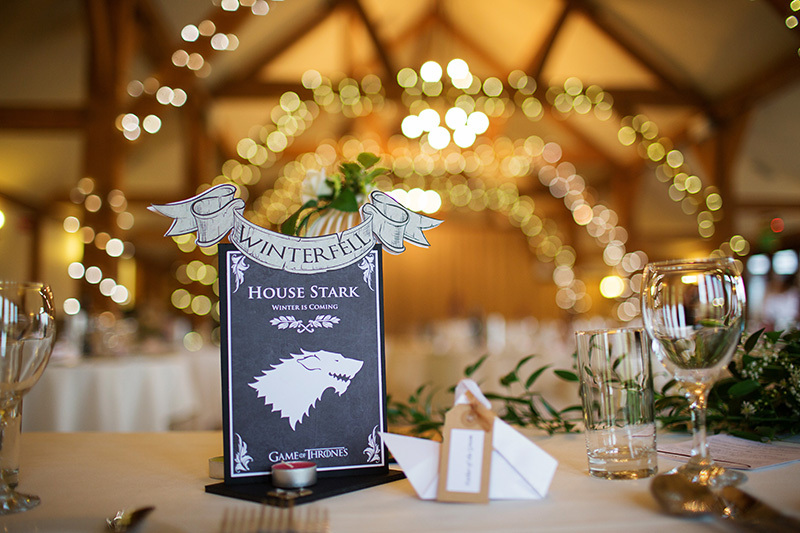 Tom is a huge Game of Thrones fan and so the table decorations were themed by the family names in Game of Thrones. 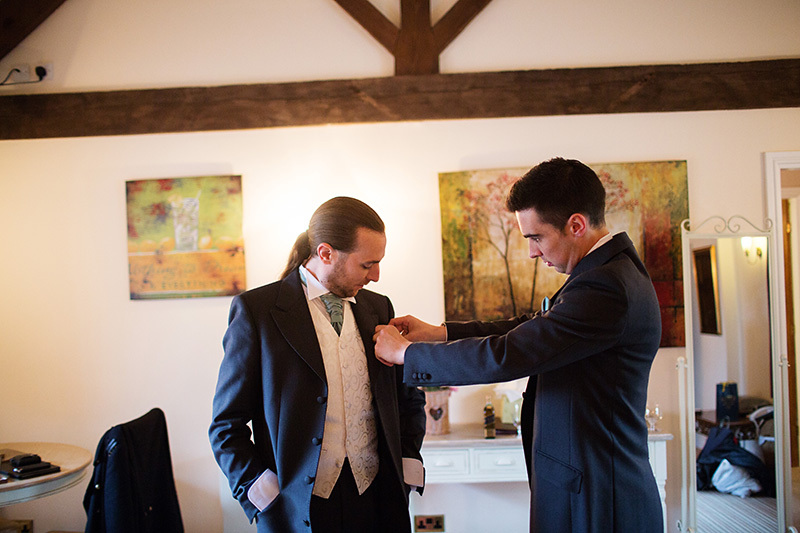 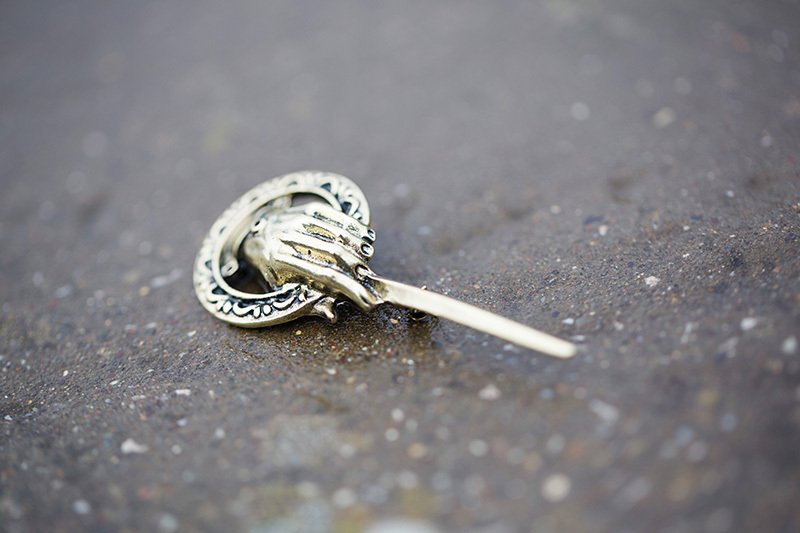 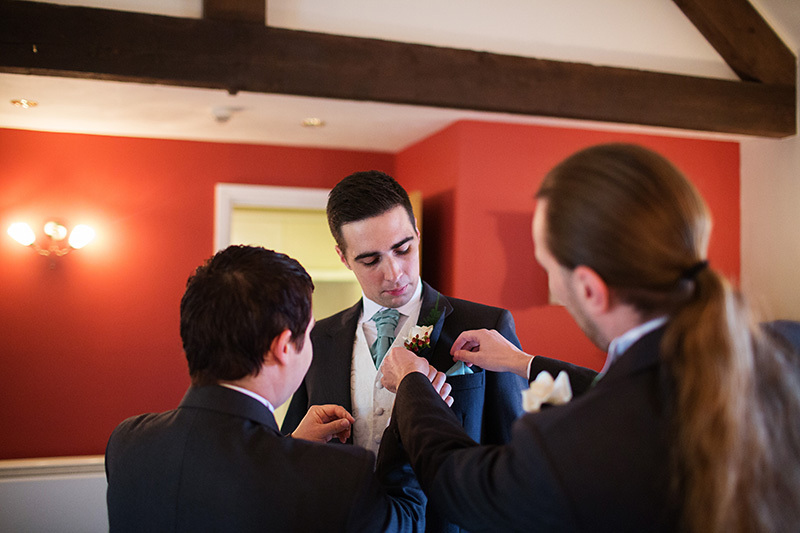 His Best Man and Best Woman both had a Game of Thrones “Hand of the king” pin which was a nice little touch! 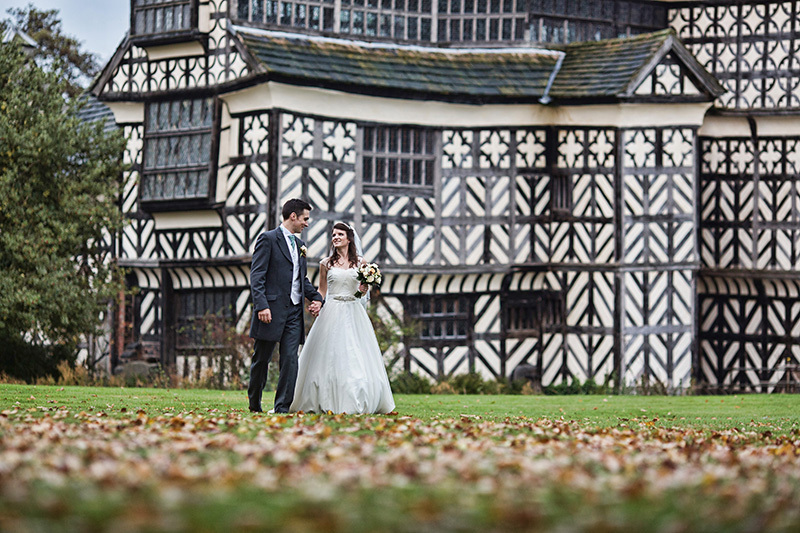 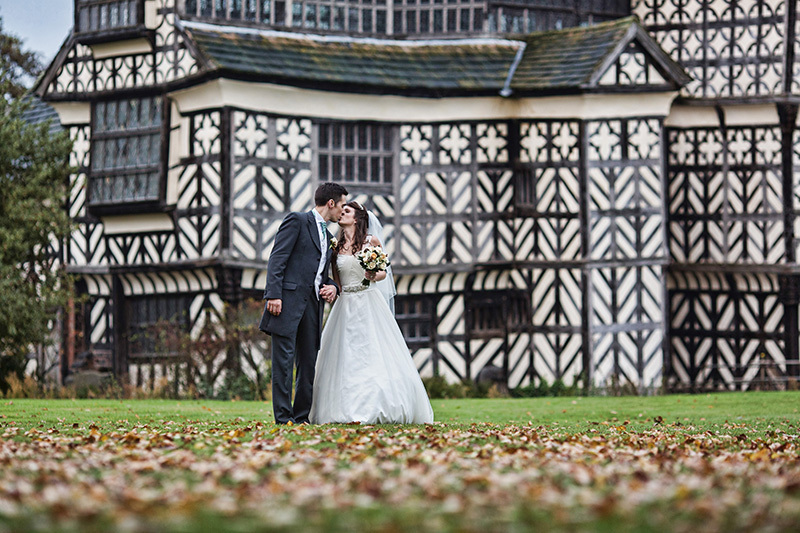 Angela used to work at Little Moreton Hall near Congleton and so we were able to wander over there after the wedding breakfast and capture some lovley autumn portraits around the grounds.